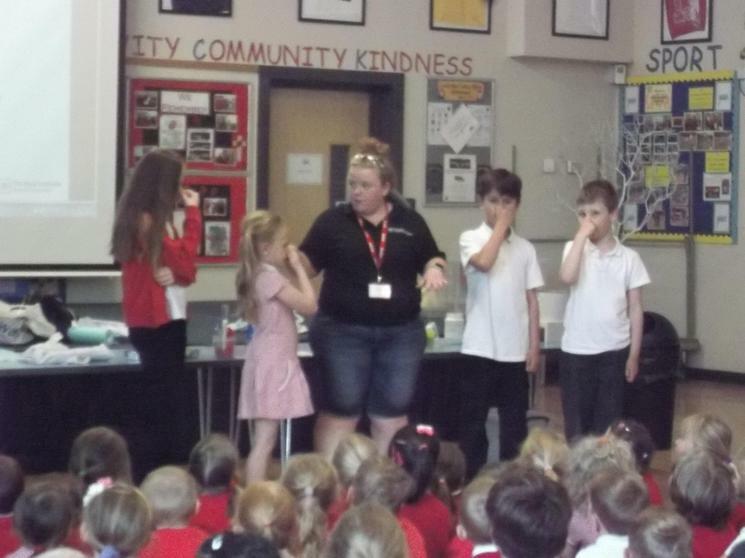 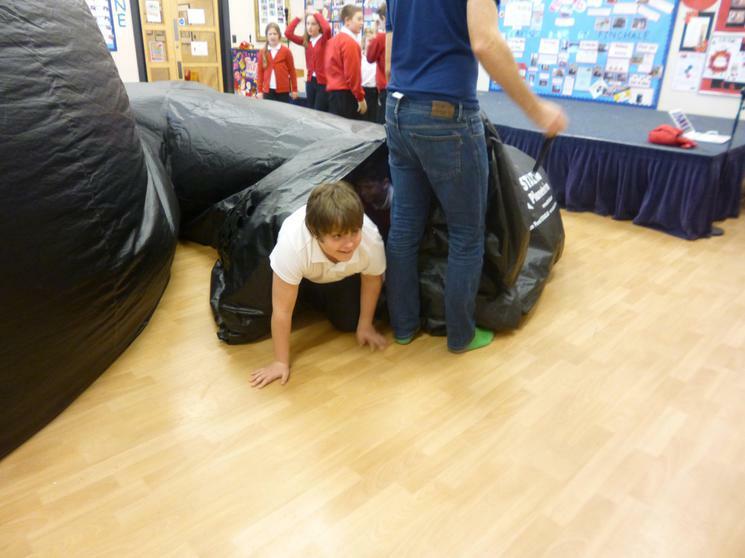 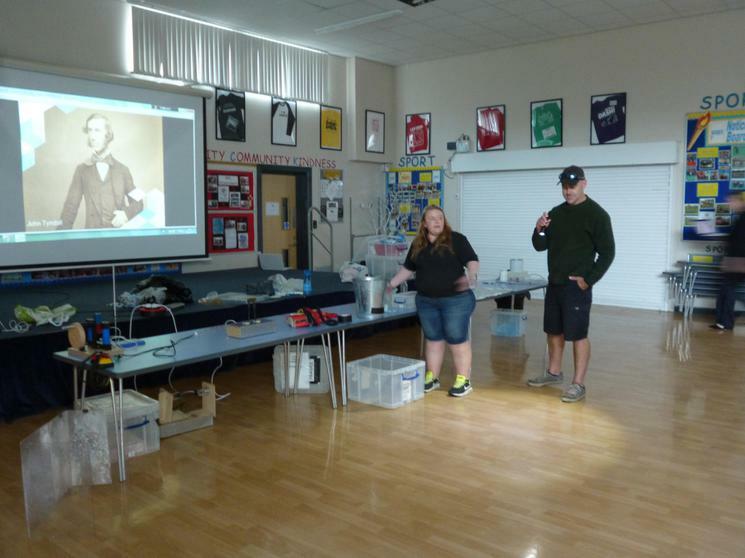 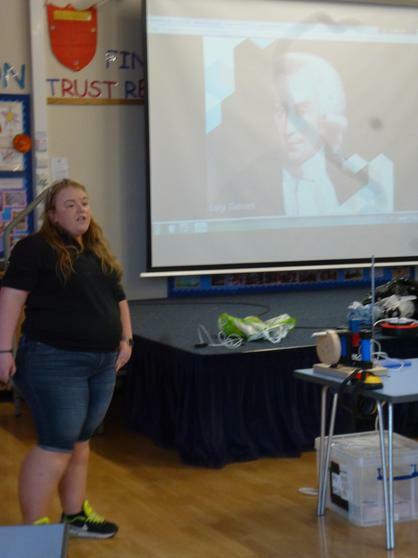 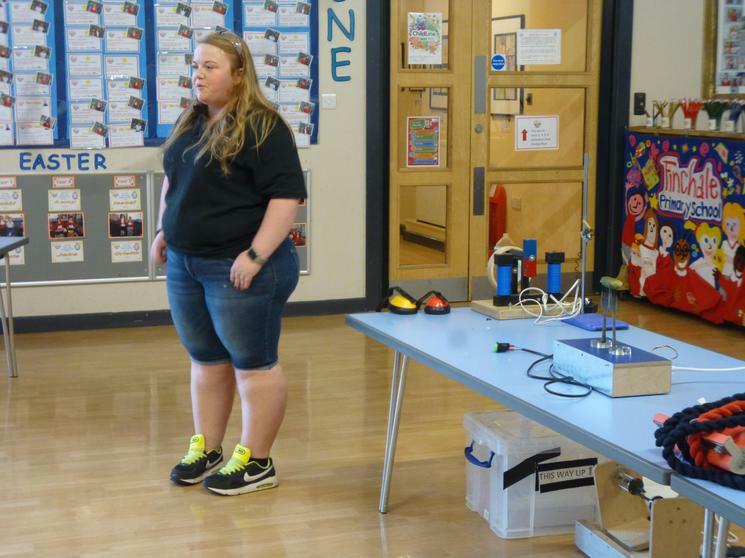 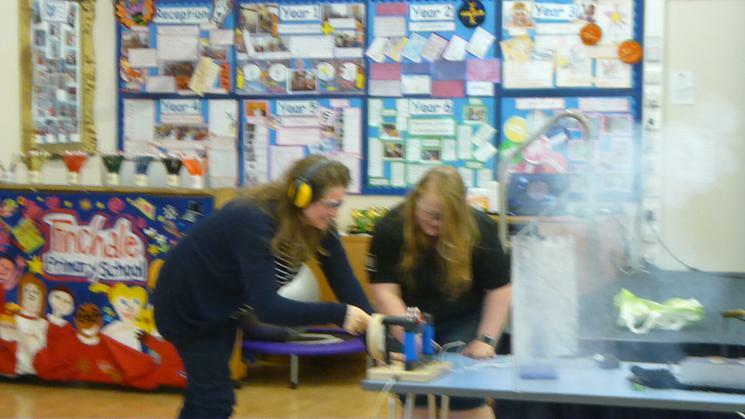 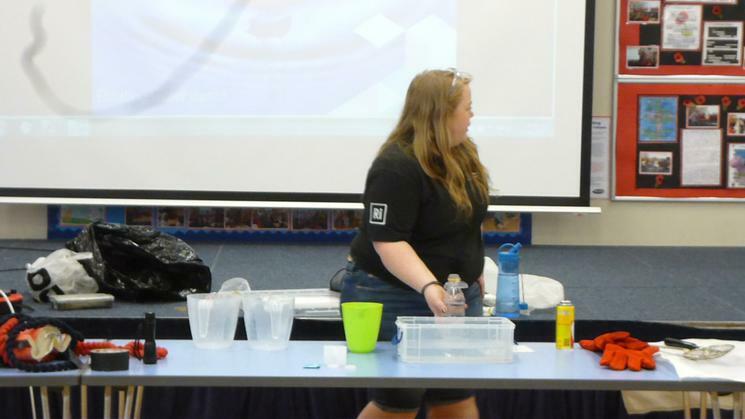 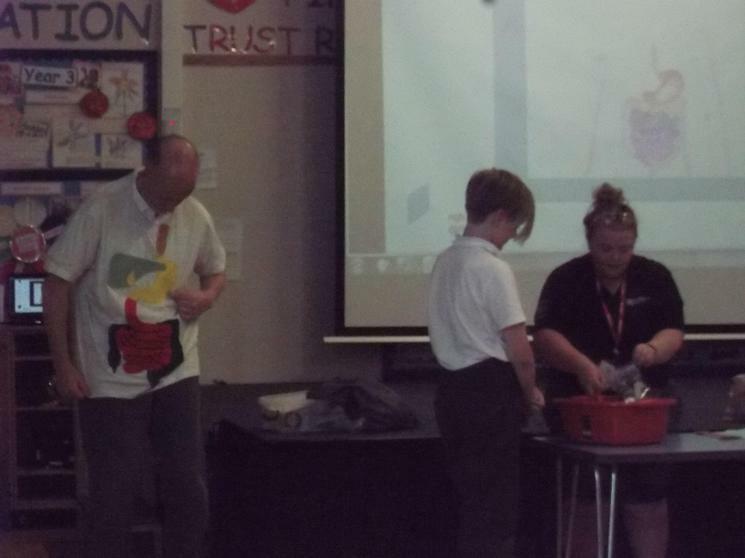 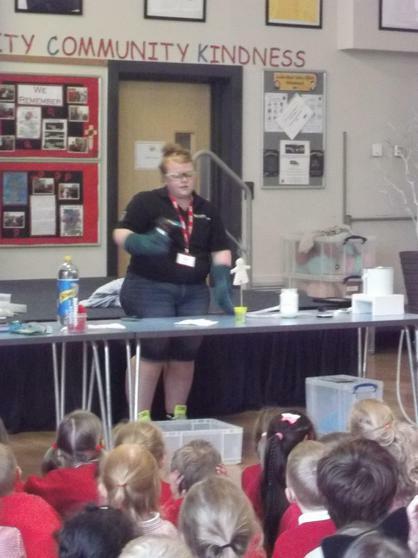 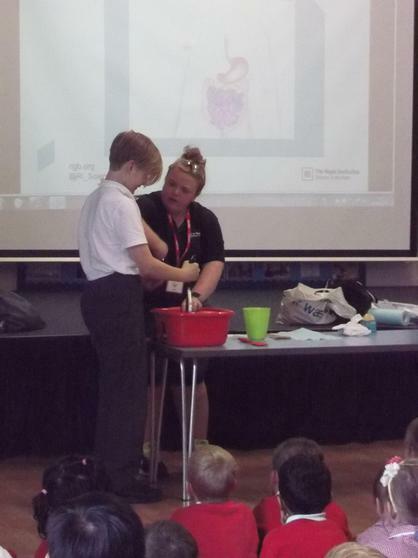 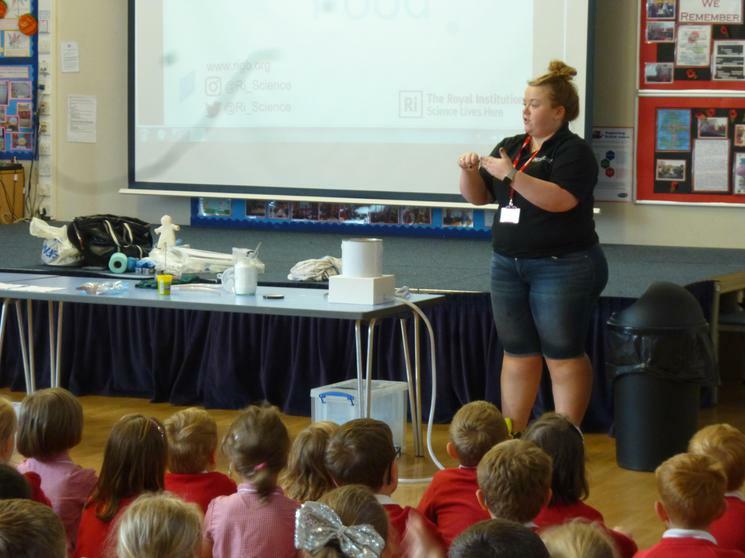 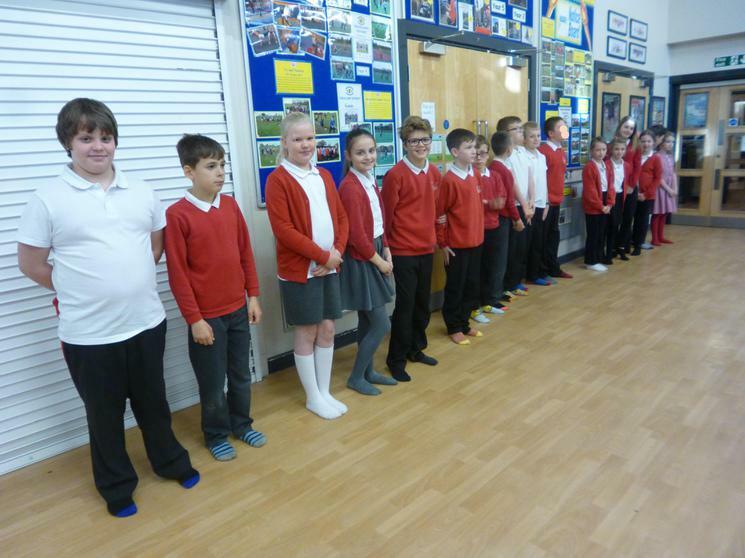 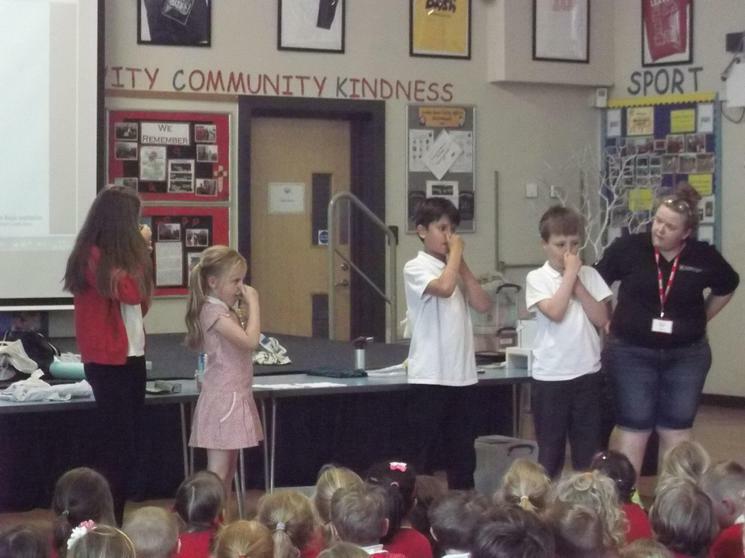 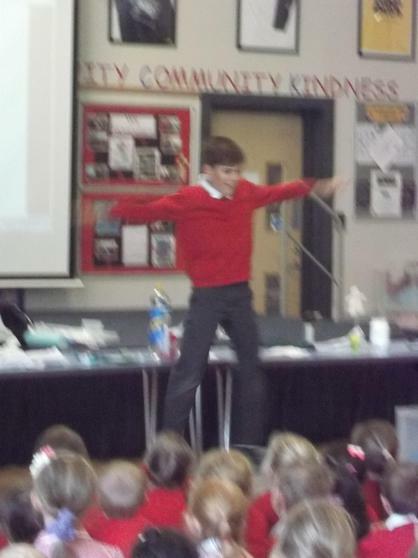 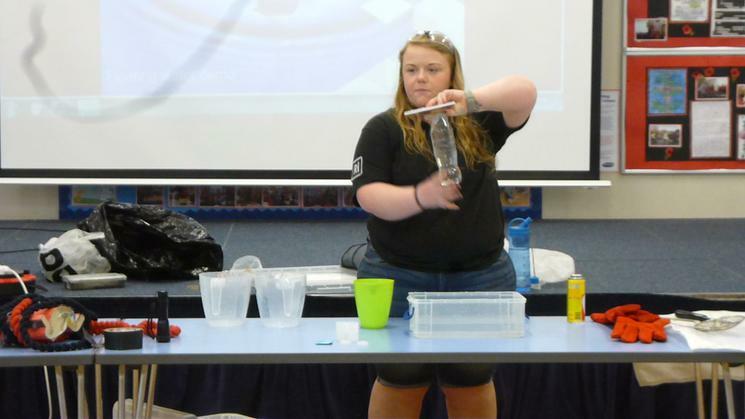 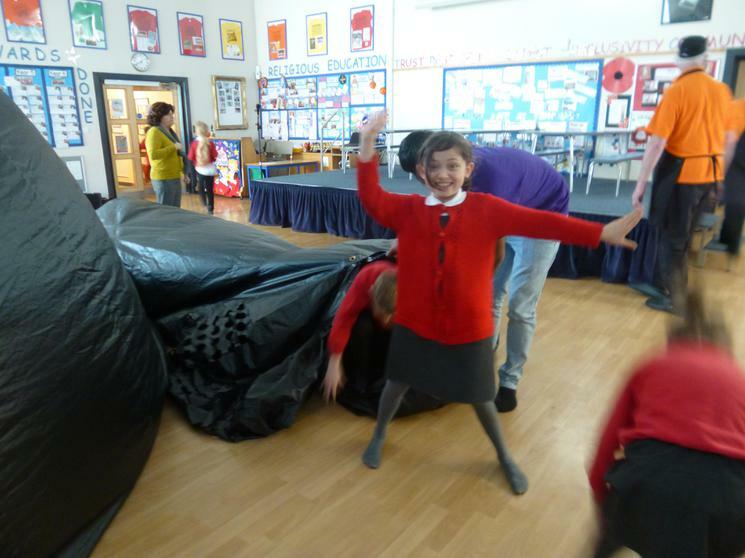 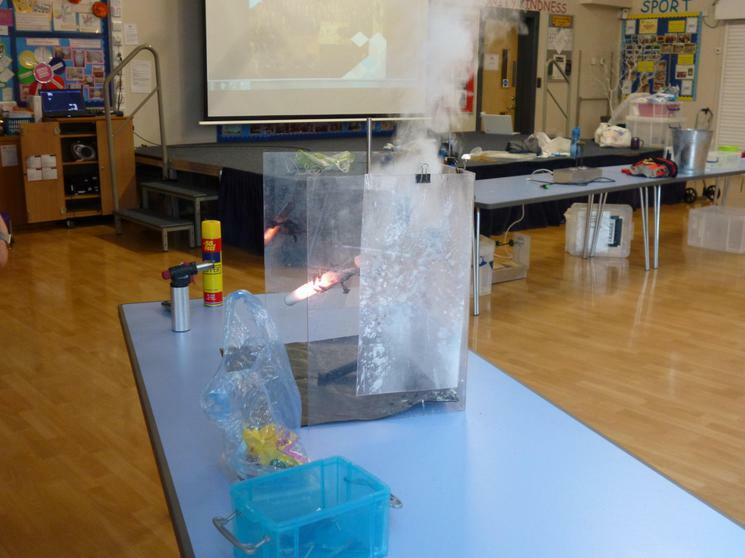 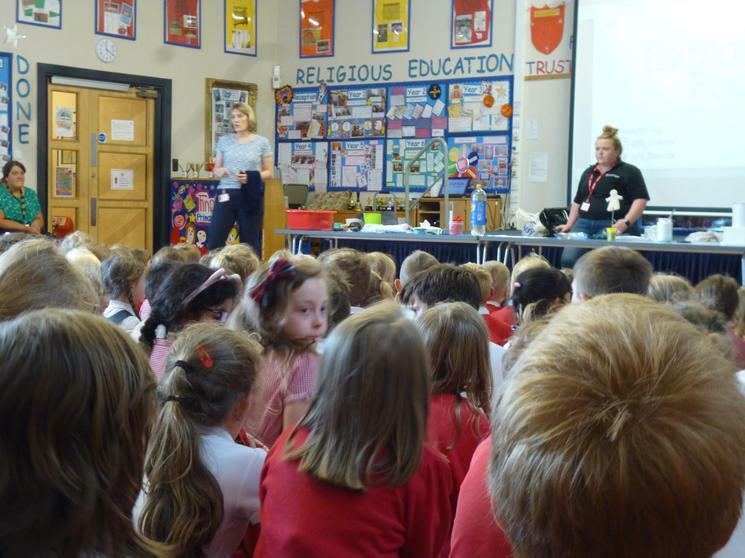 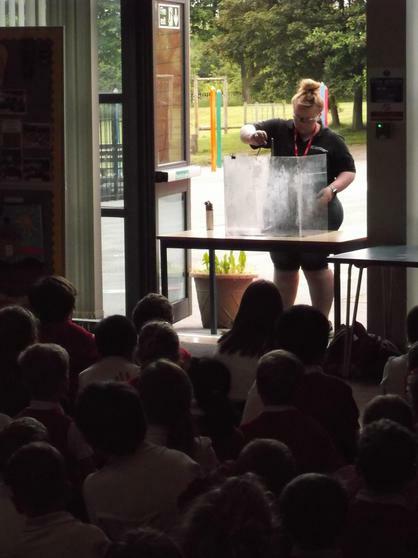 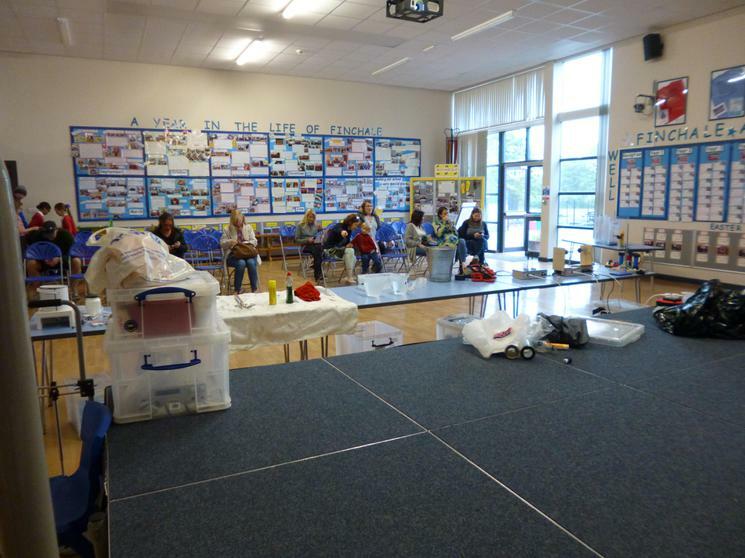 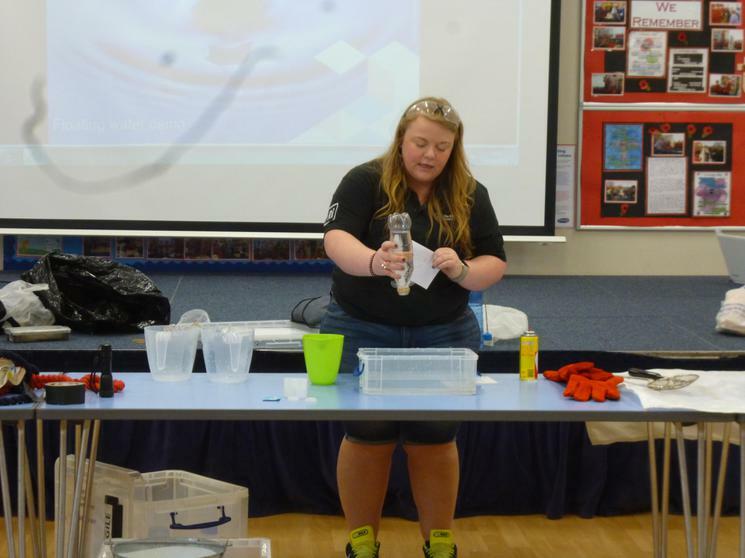 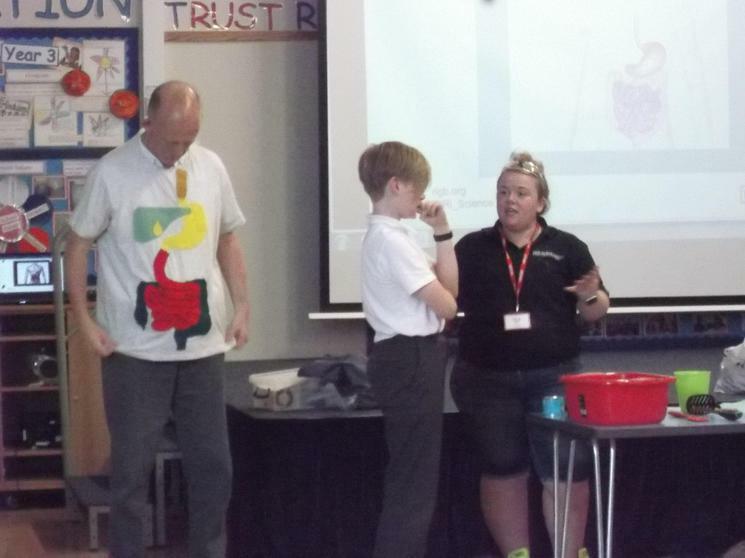 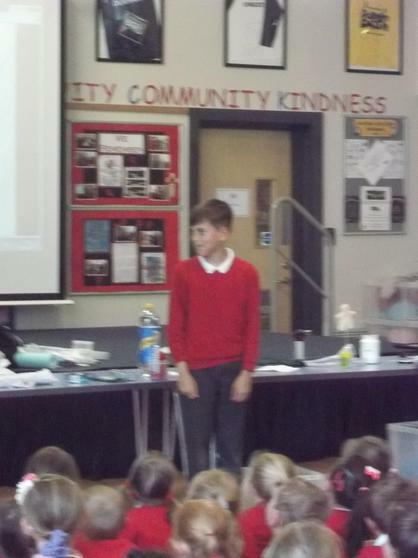 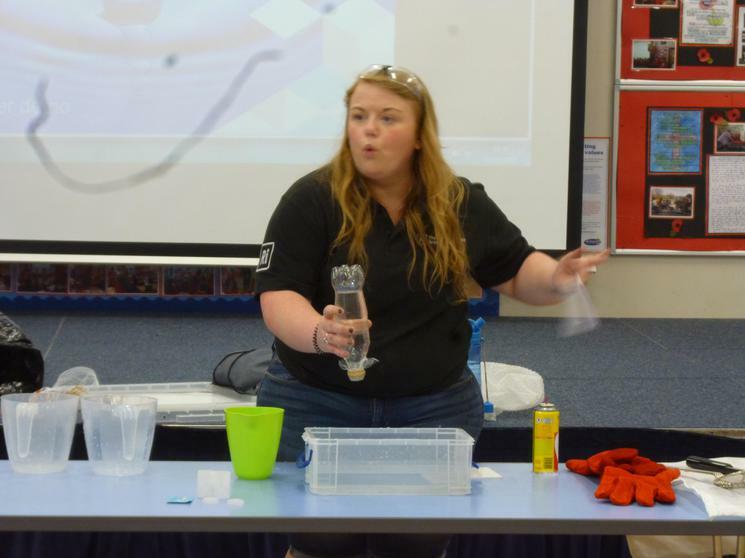 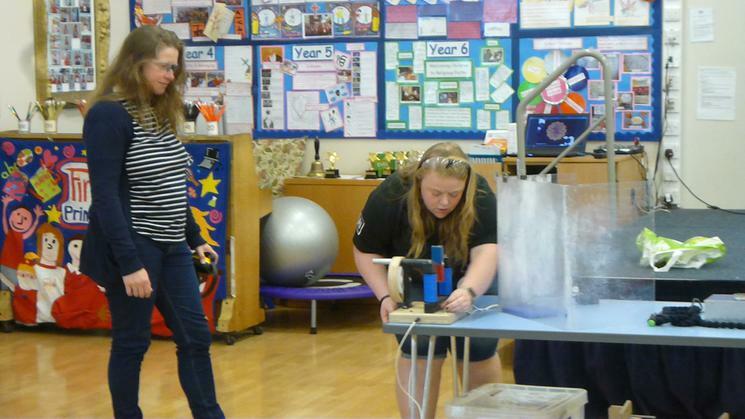 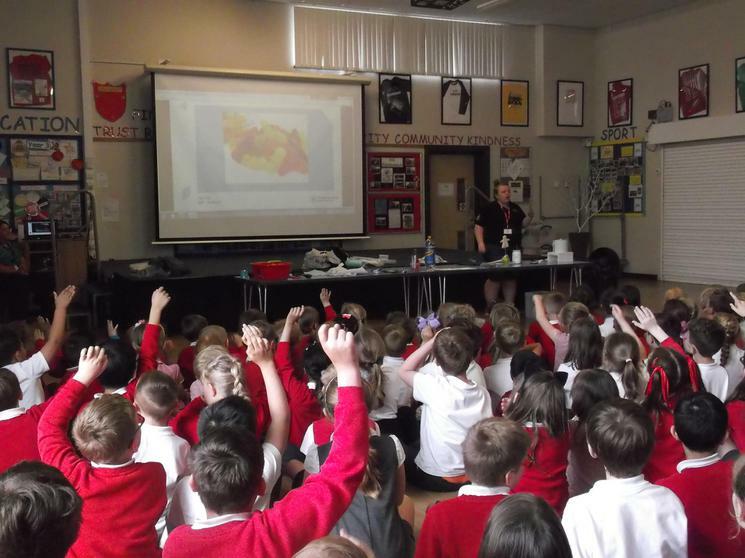 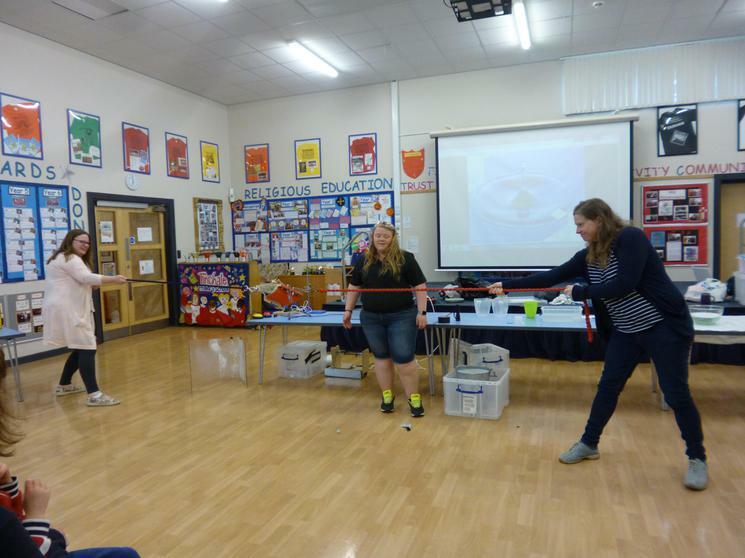 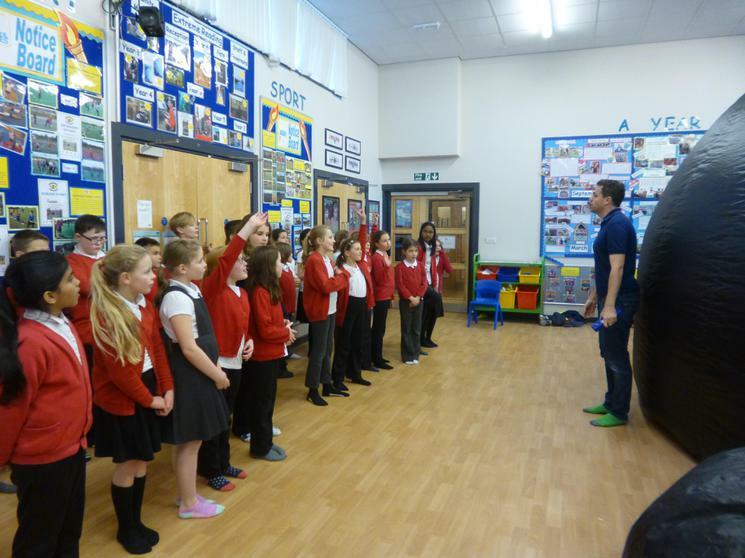 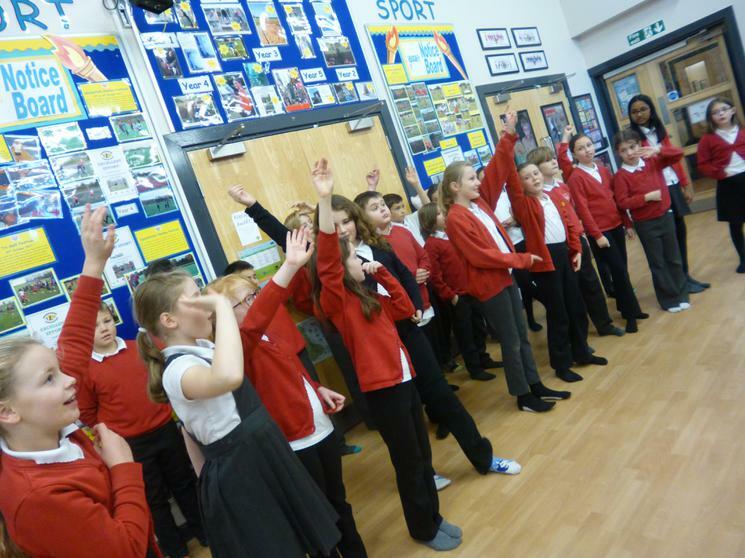 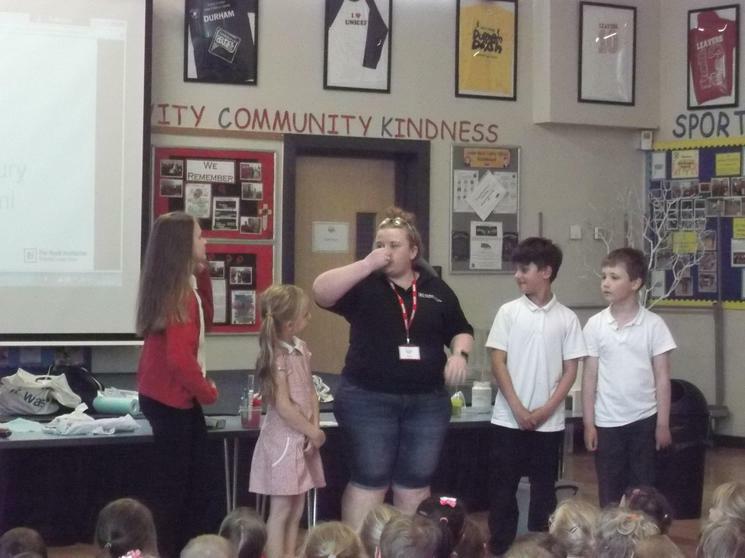 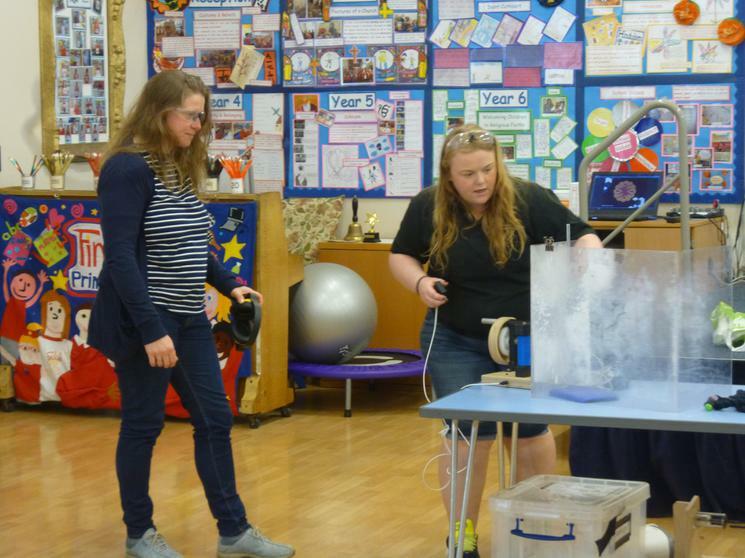 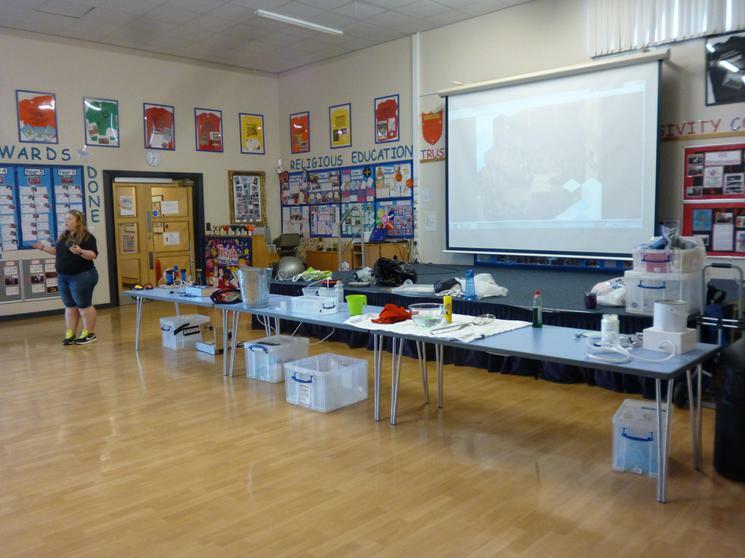 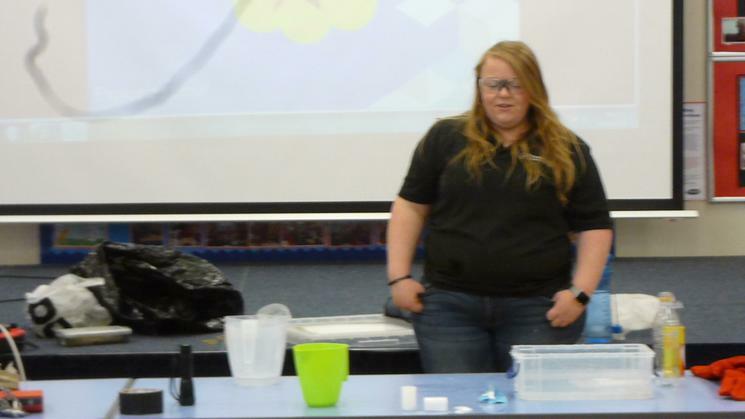 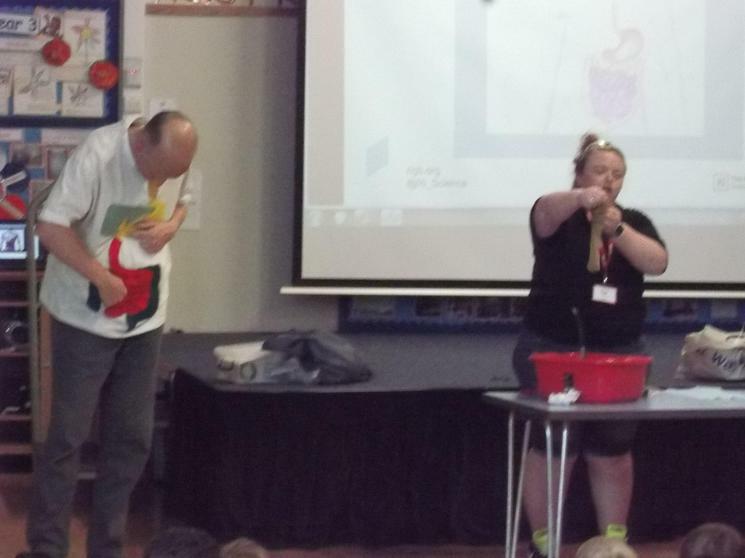 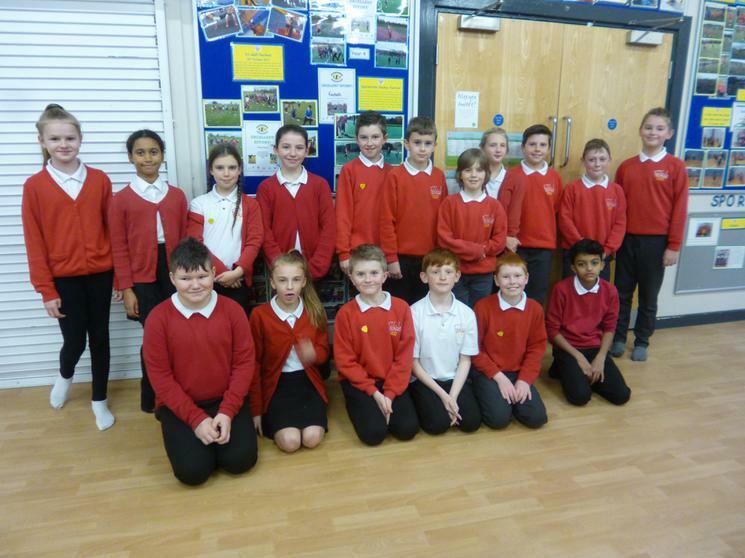 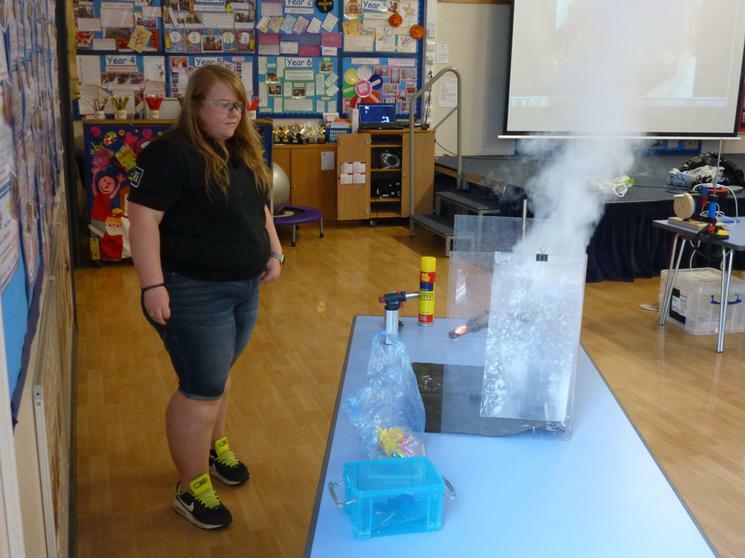 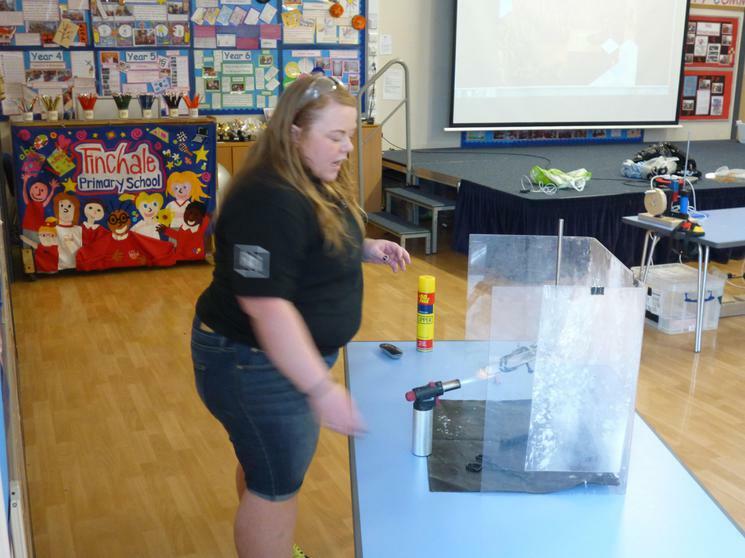 Years 4, 5 and 6 thoroughly enjoyed experimenting within a range of Science topics during British Science Week. 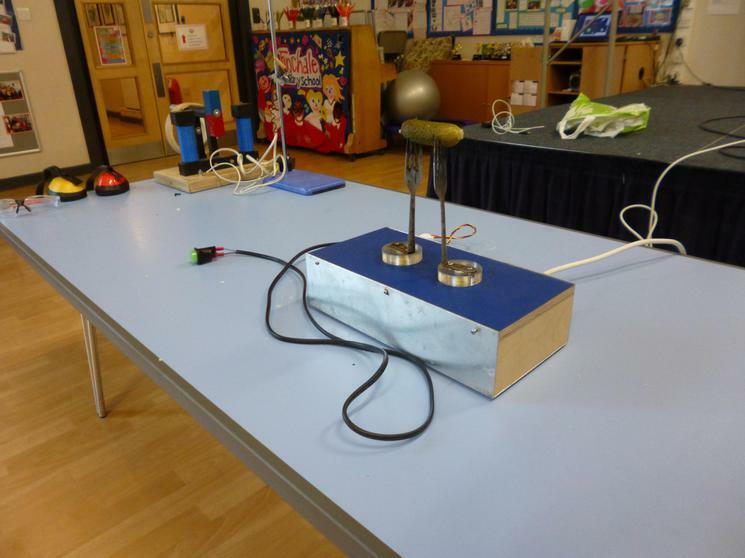 Year 4 experimented with colour absorption, static electricity, fruit and vegetable circuits, the disintegration of eggshells and the phenomenon of gravity. 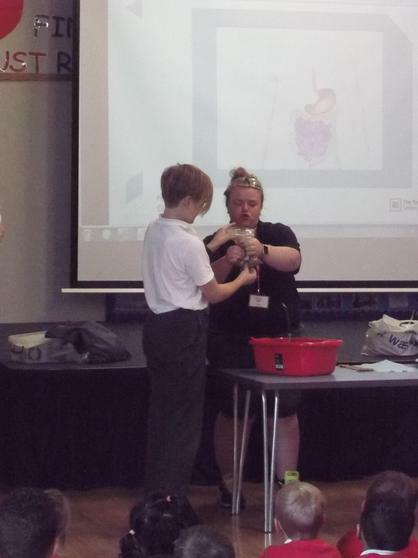 Y5 & 6 experimented with the effective use of materials for various purposes, how an egg can be protected when being dropped from a height and the idea of weight distribution when making bridge structures. 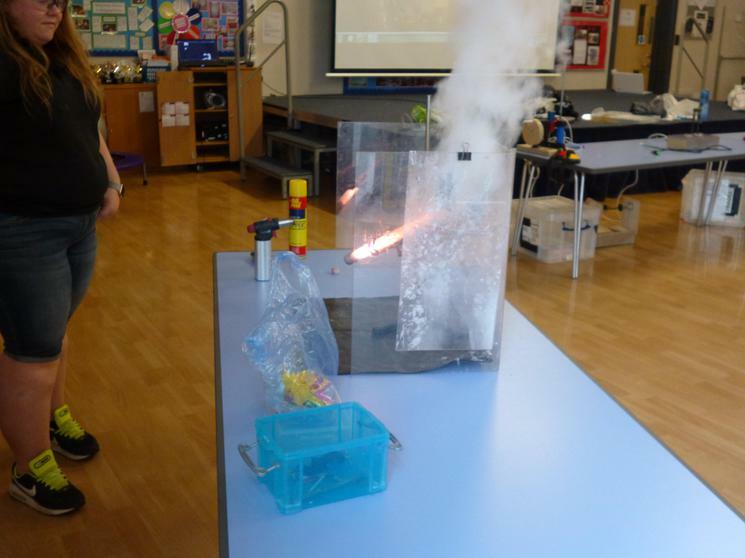 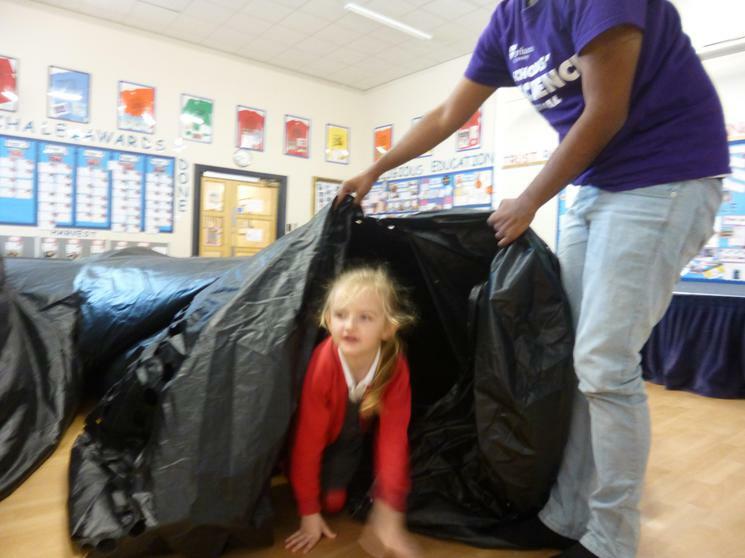 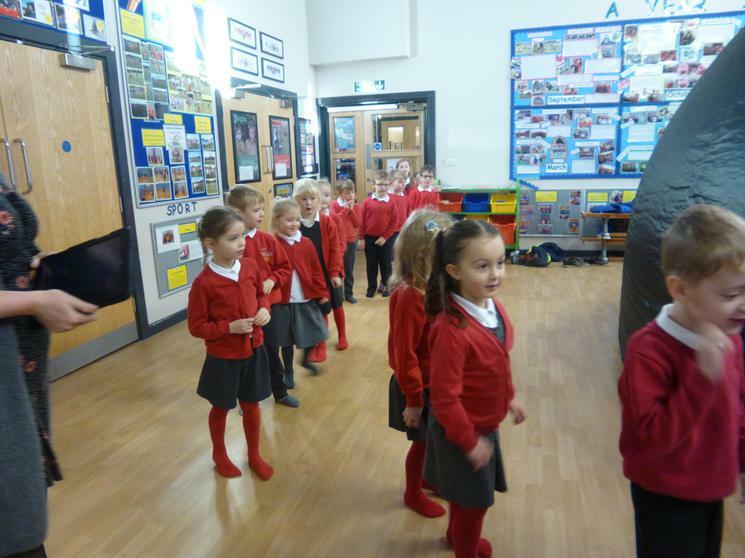 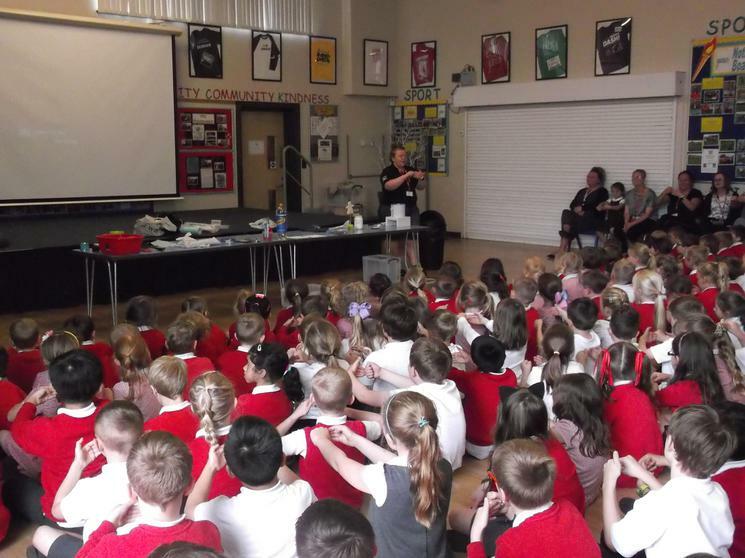 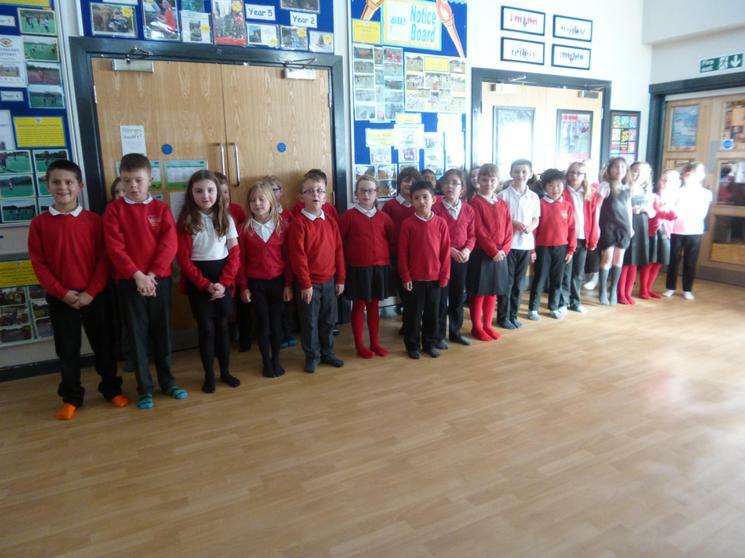 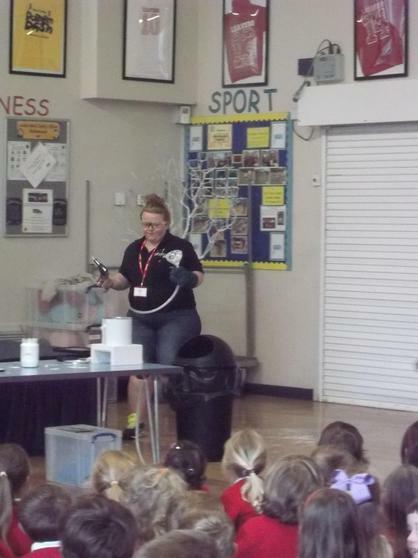 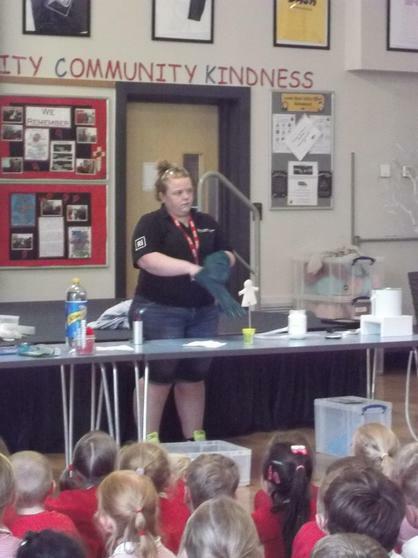 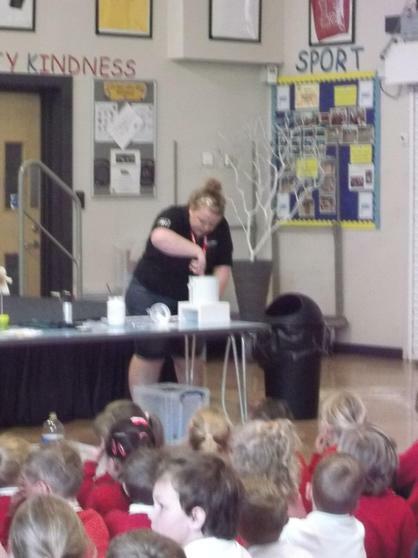 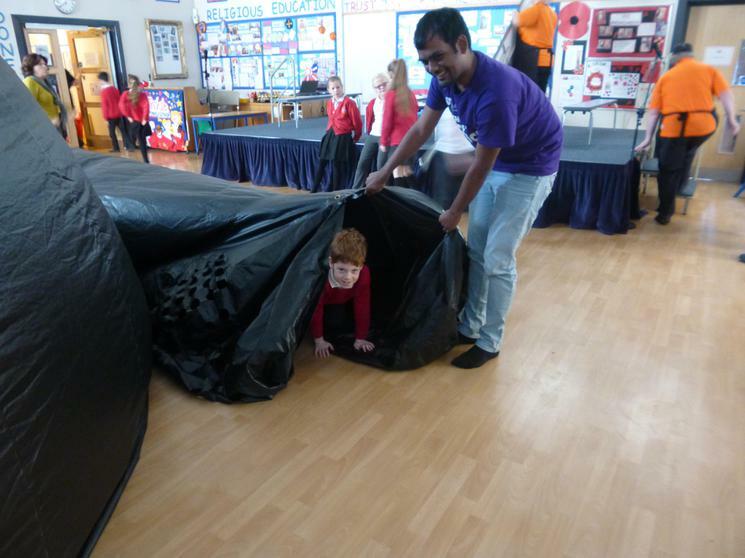 The children really developed their skills and knowledge as scientists and had a wonderful time in the process. 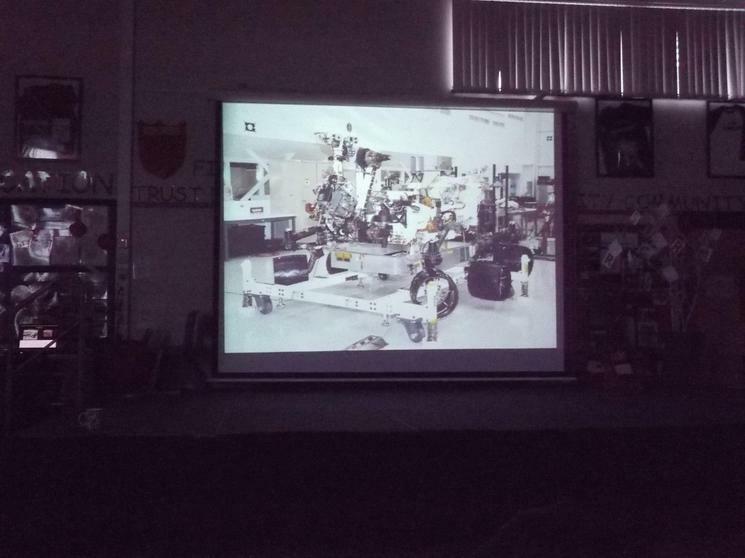 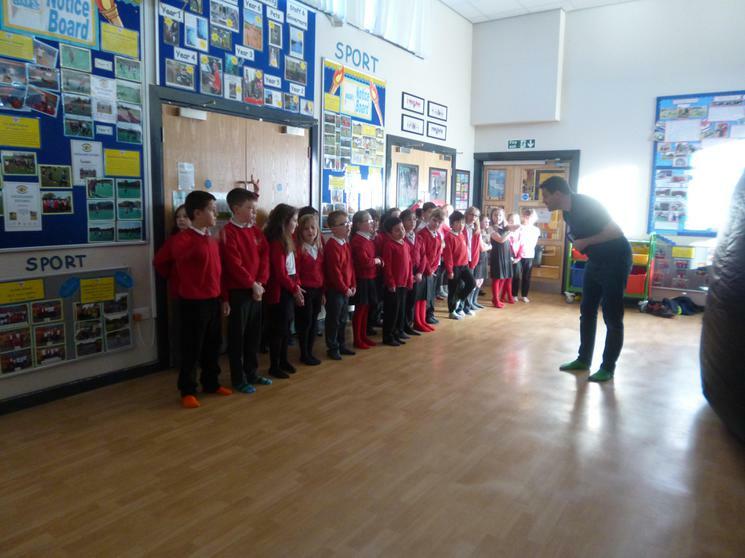 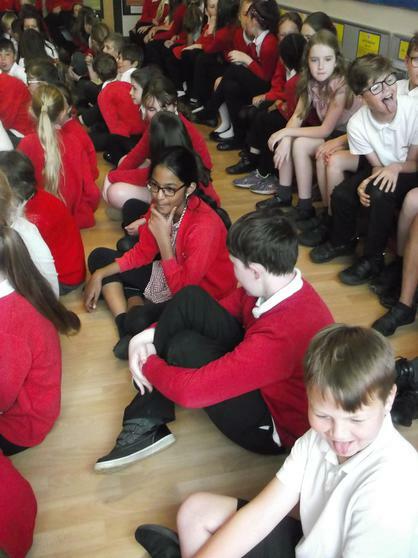 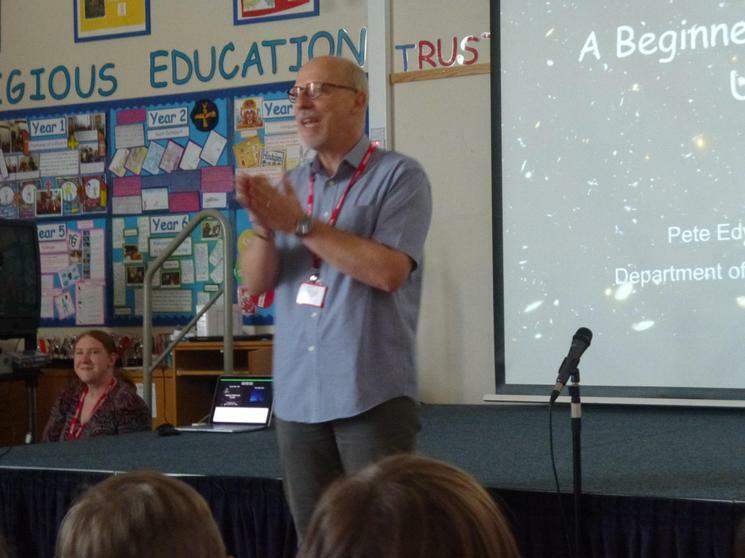 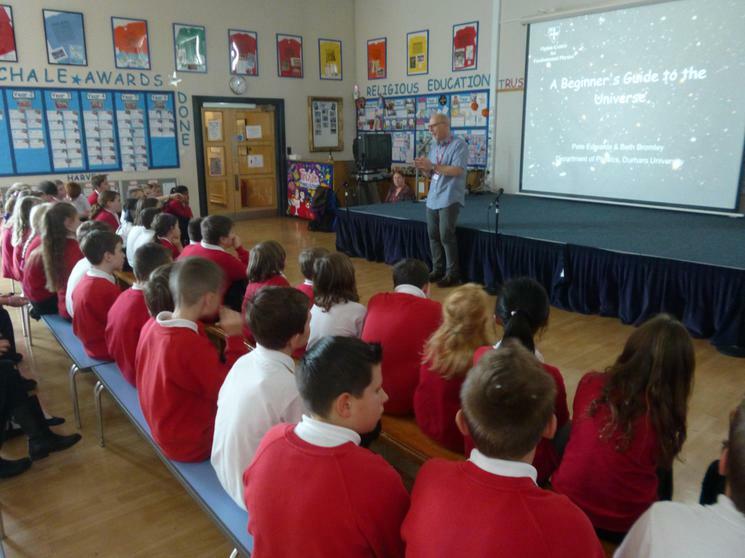 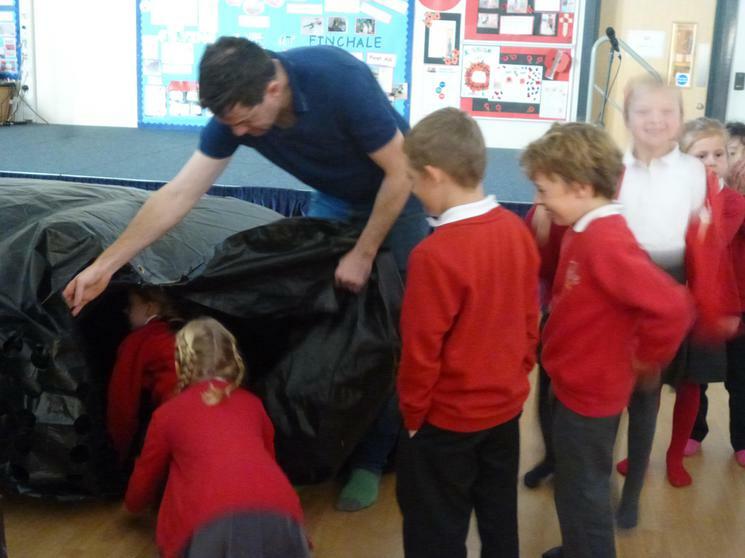 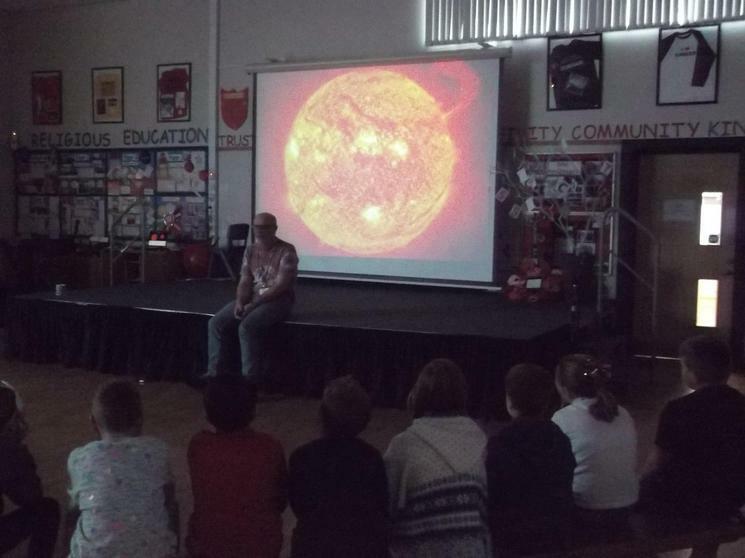 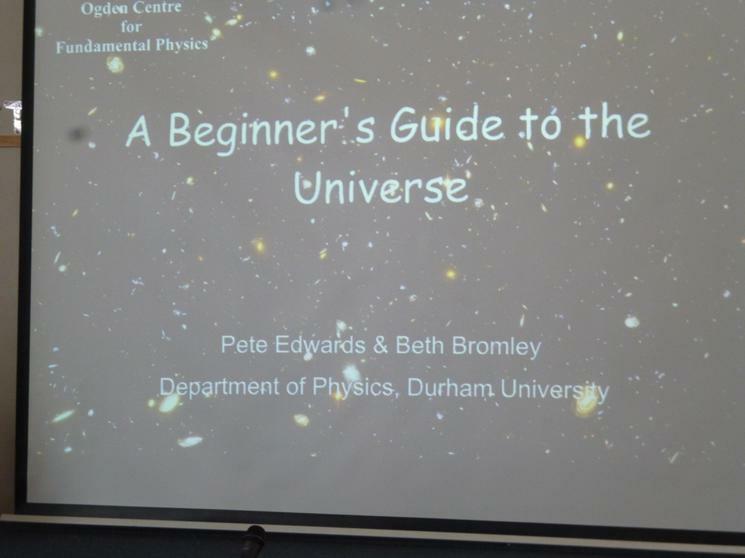 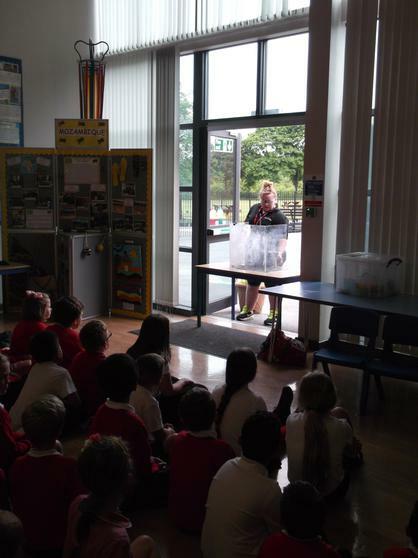 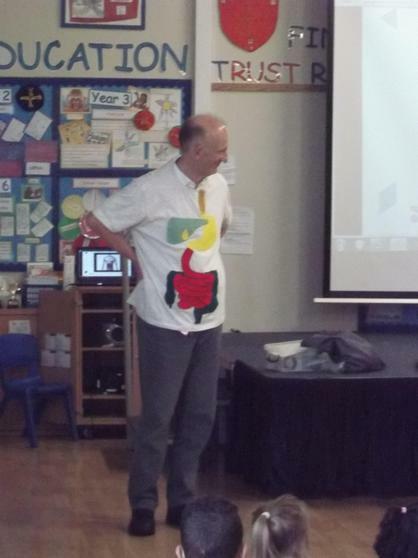 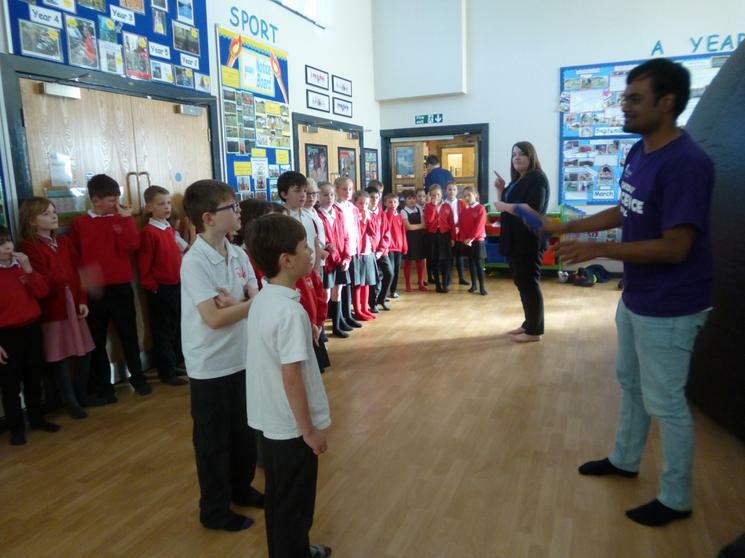 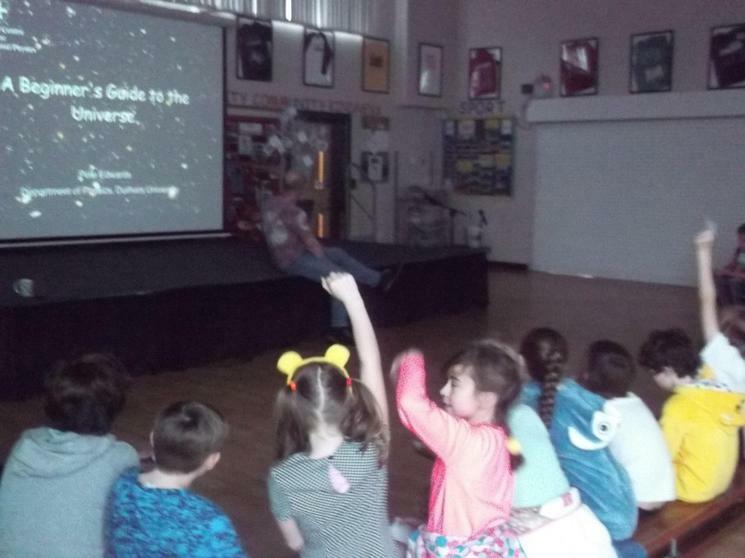 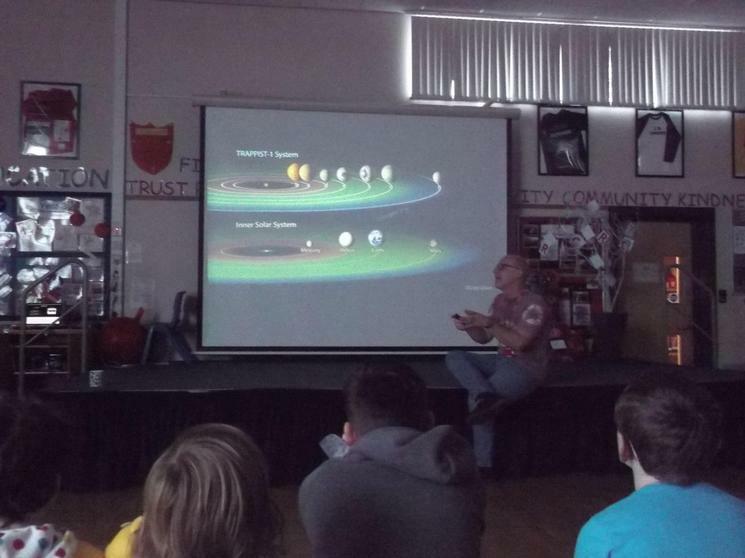 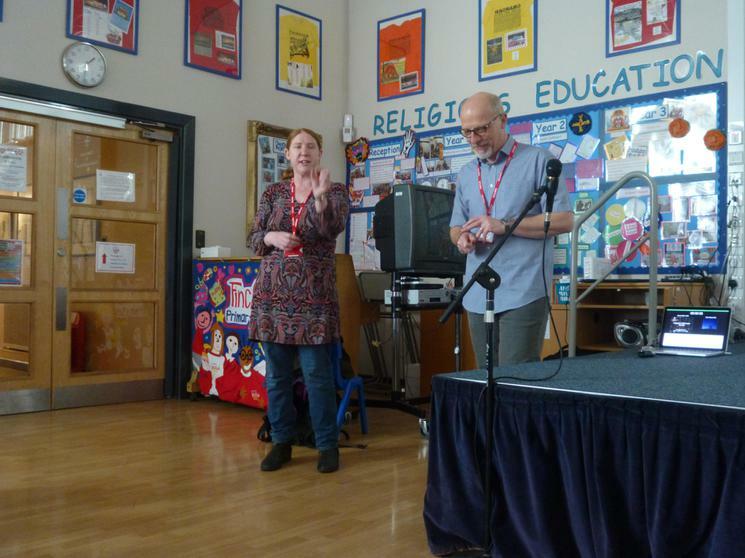 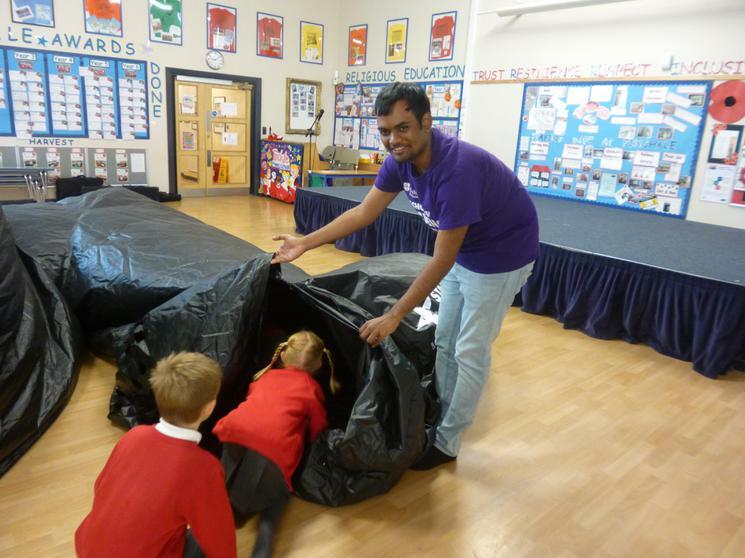 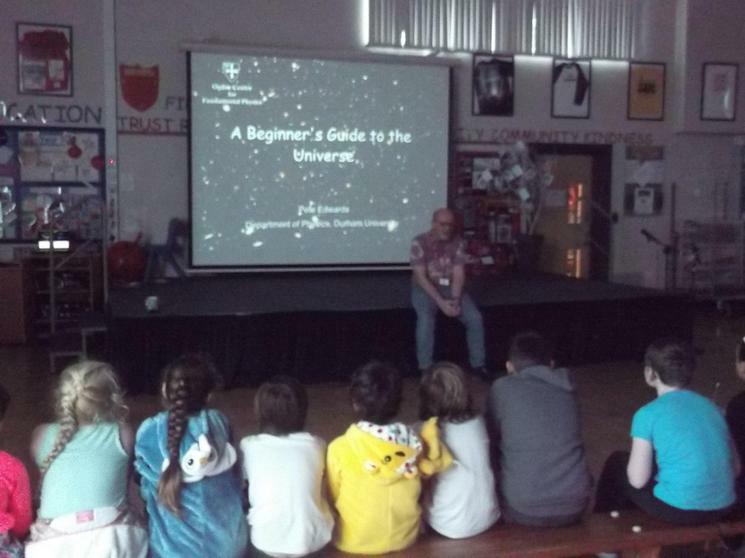 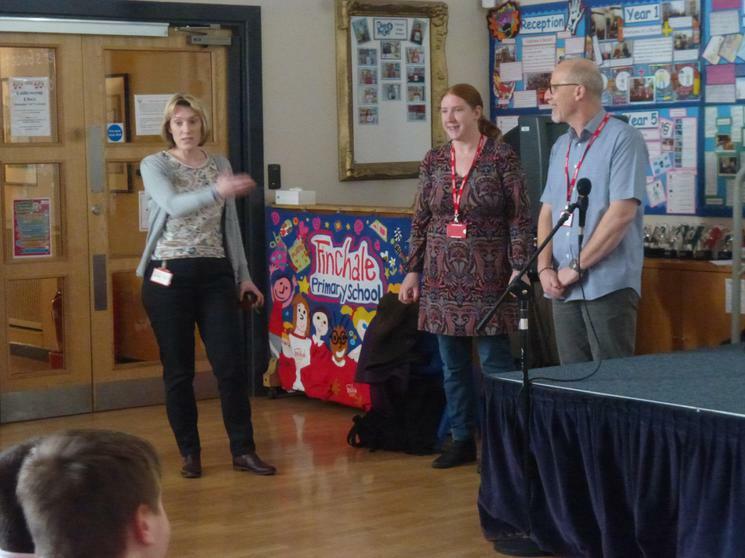 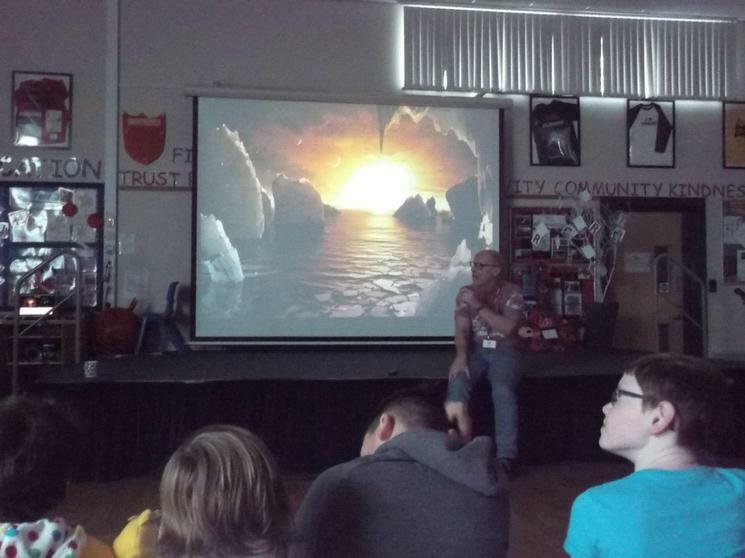 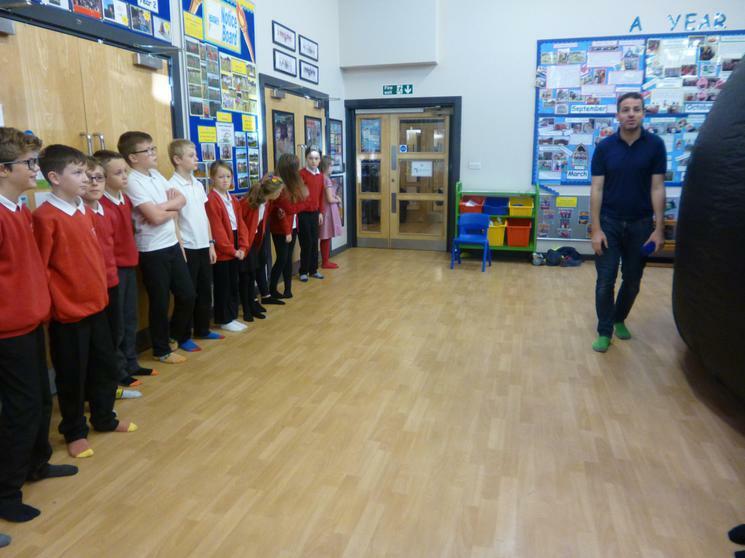 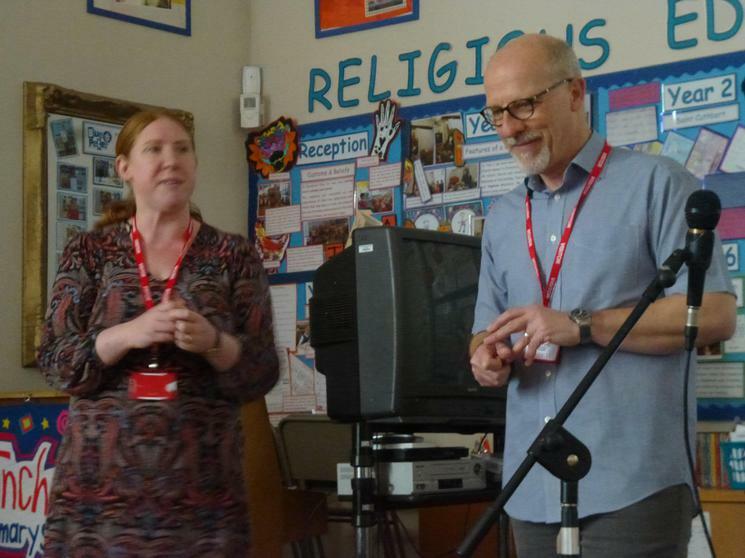 Dr. Pete Edwards, from Durham University Physics Department, came out to school to deliver a talk called ‘A Beginner’s Guide to the Universe’, to pupils in Year 5. 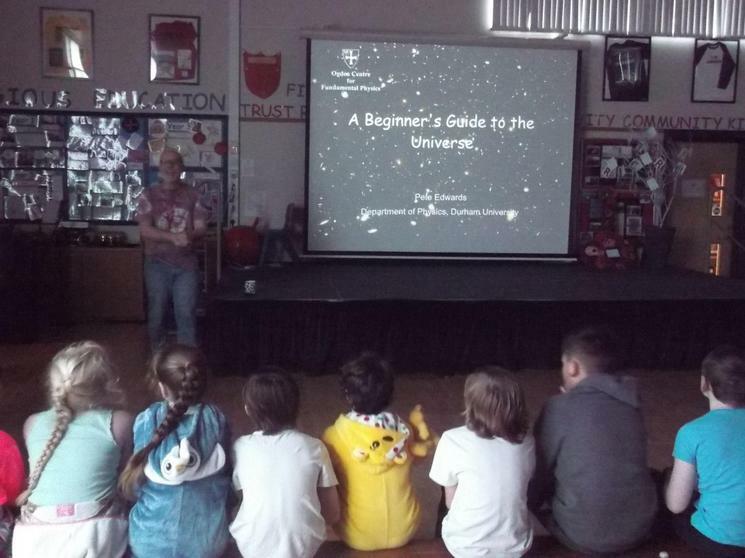 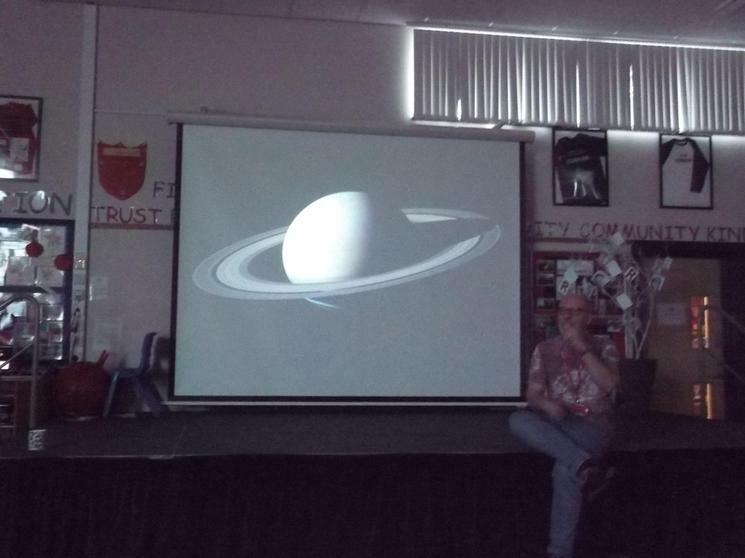 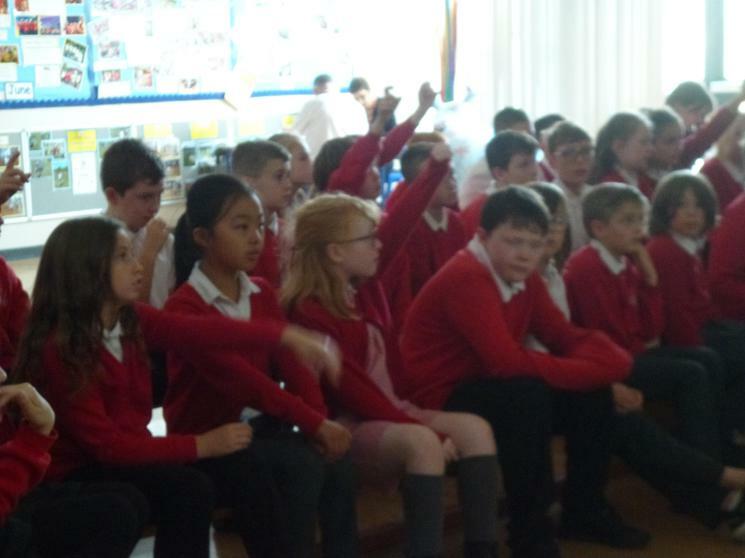 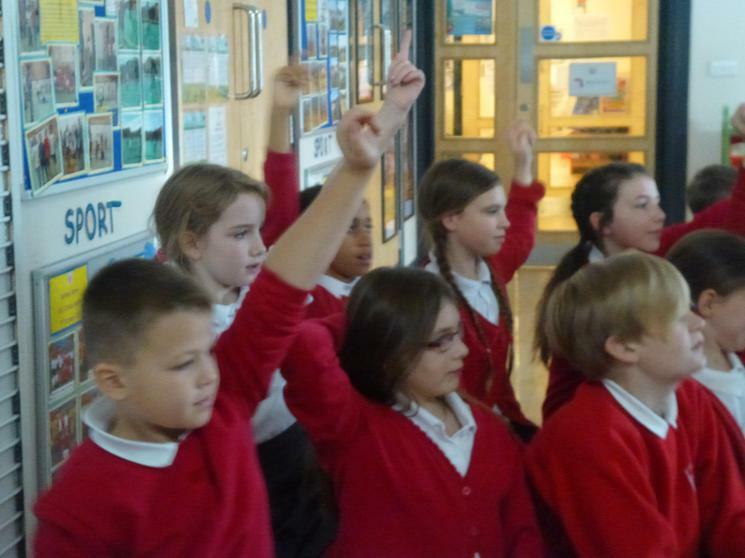 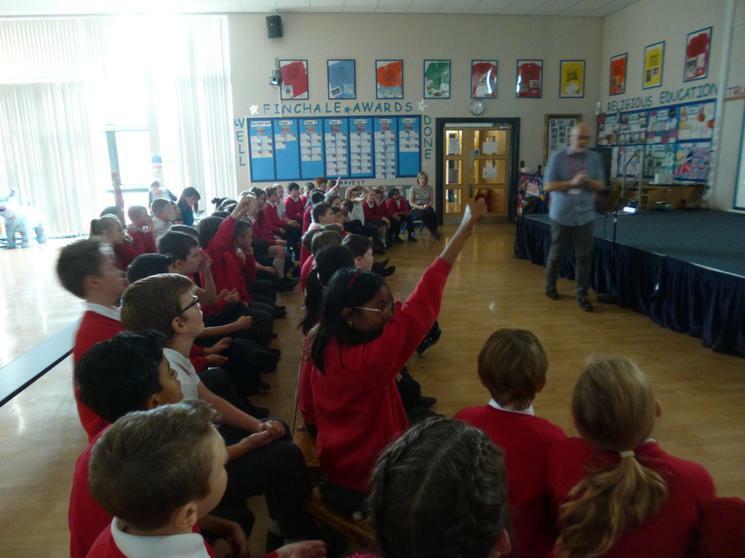 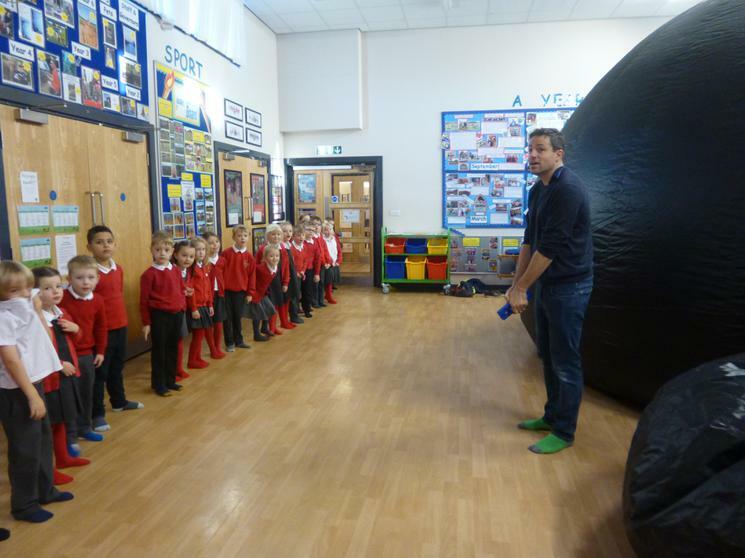 The children had the opportunity to ask Pete questions about planets, black holes, galaxies and supernovas to name but a few. 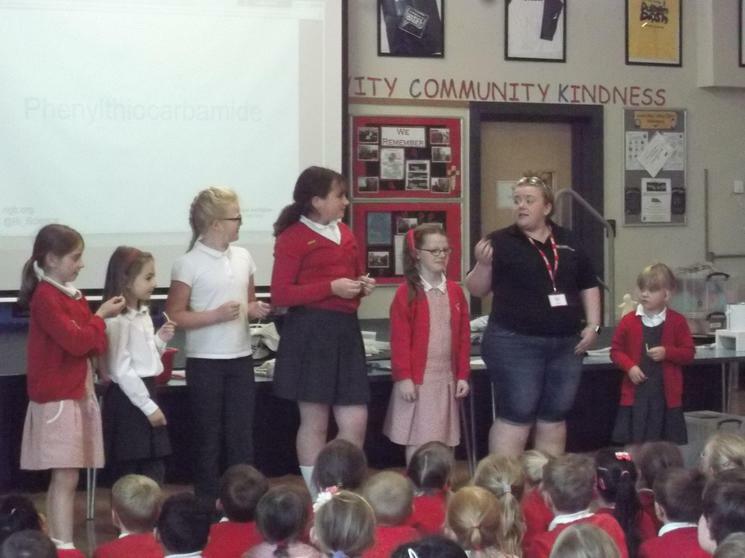 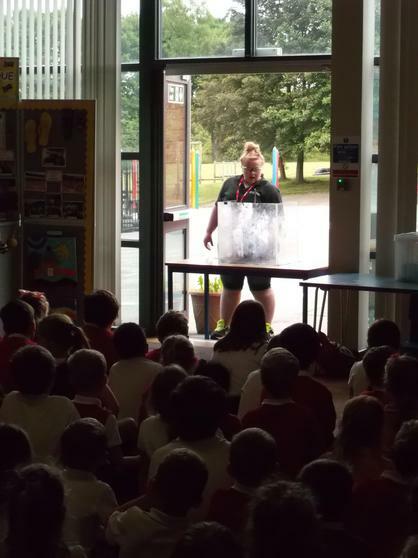 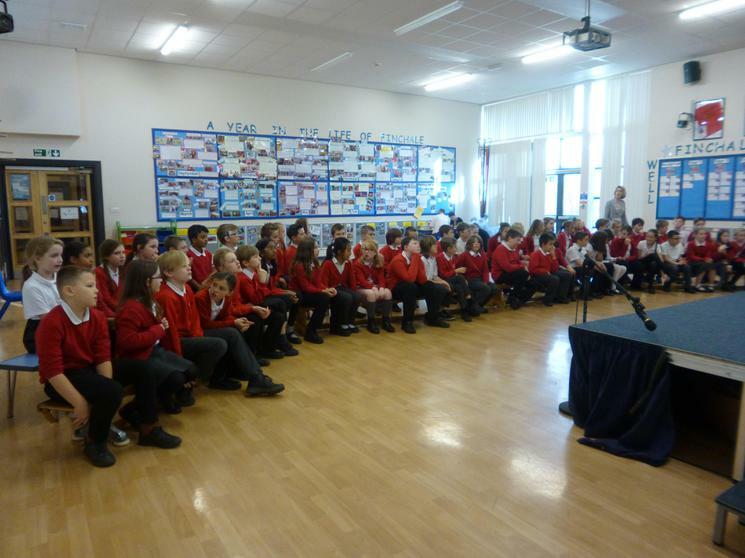 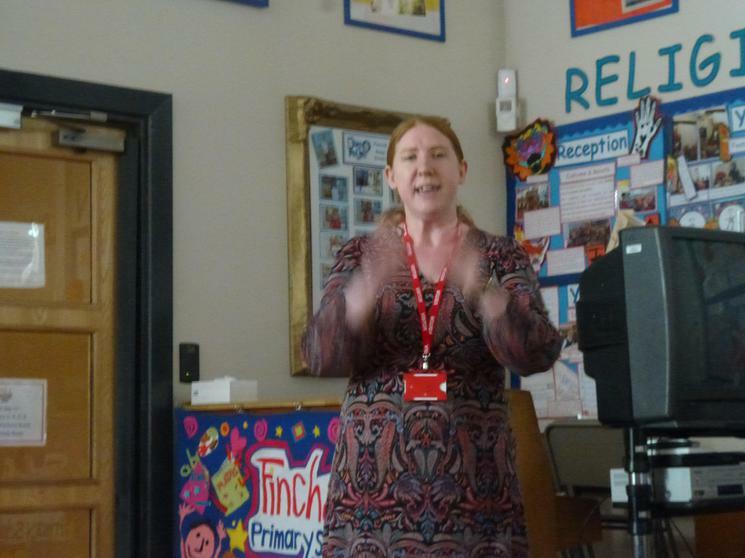 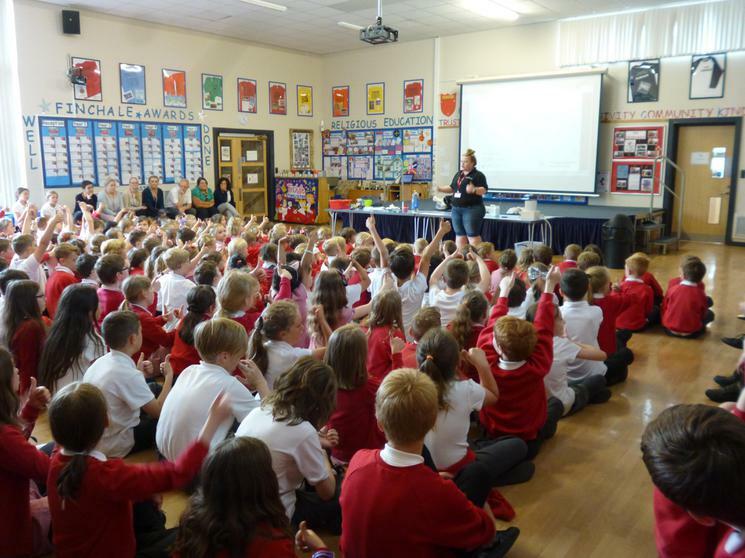 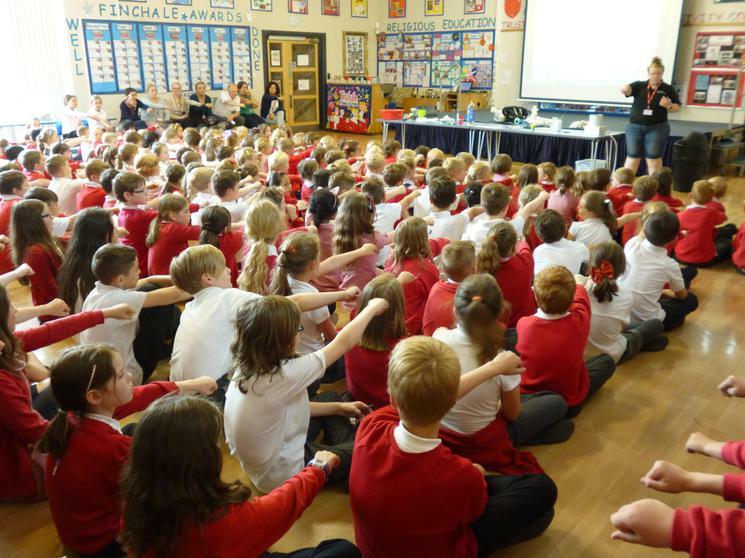 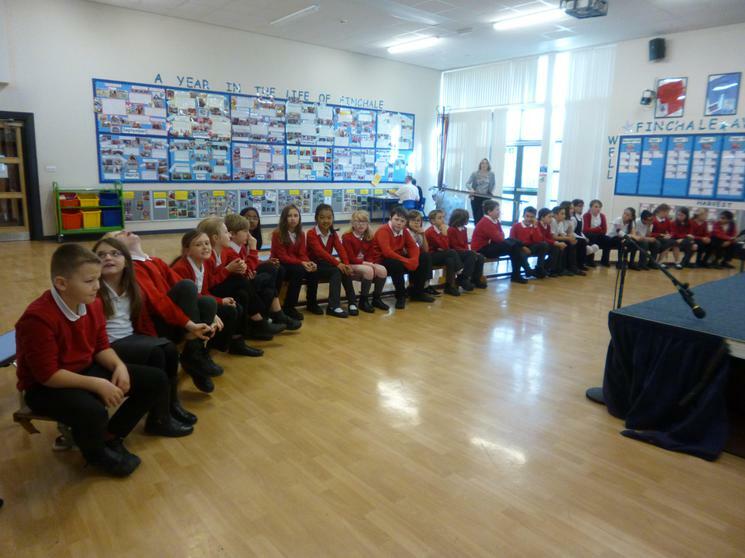 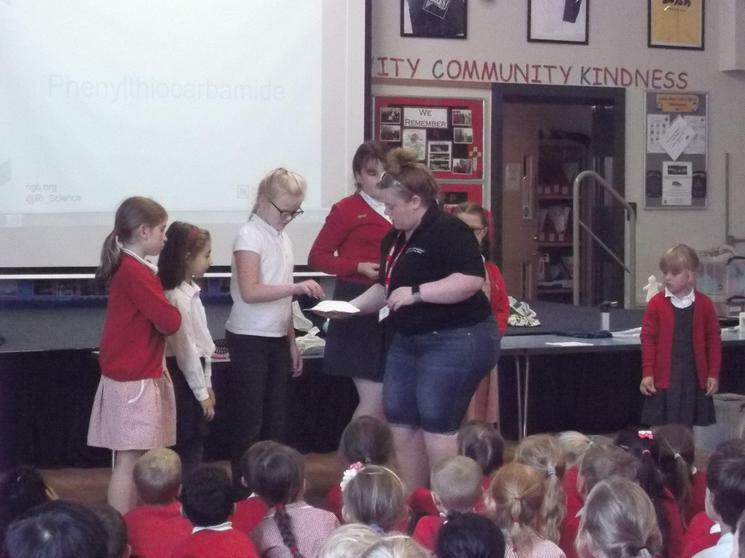 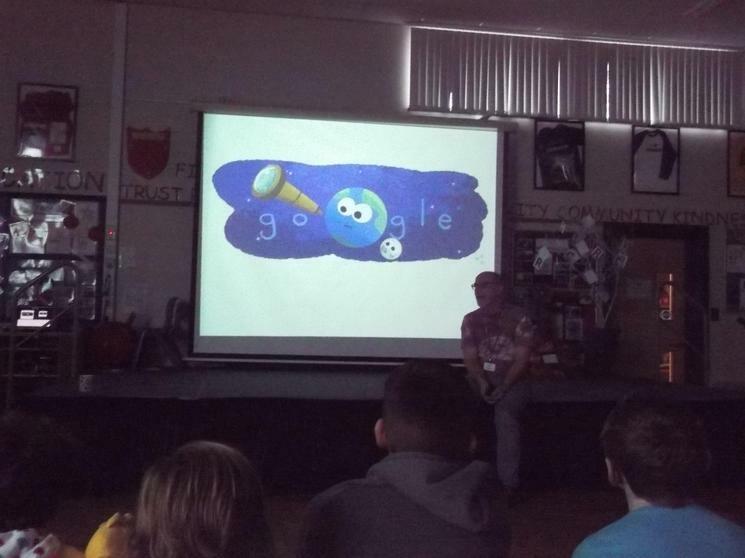 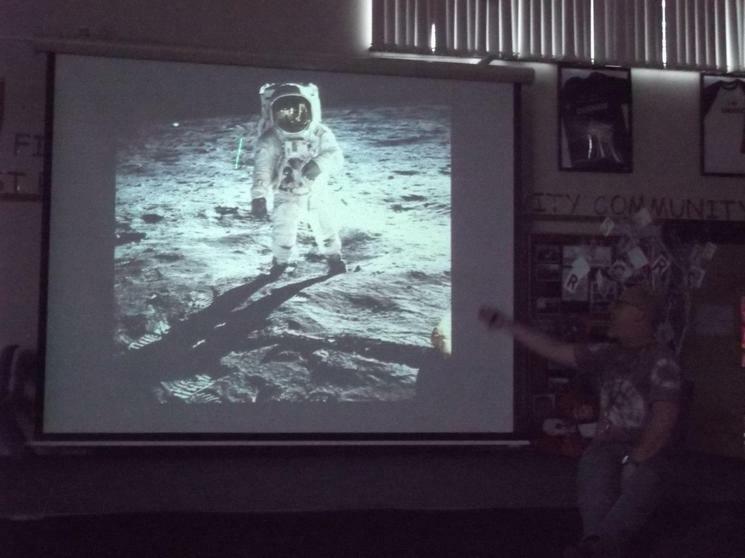 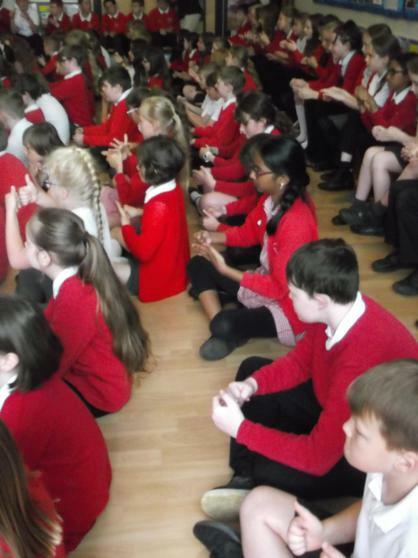 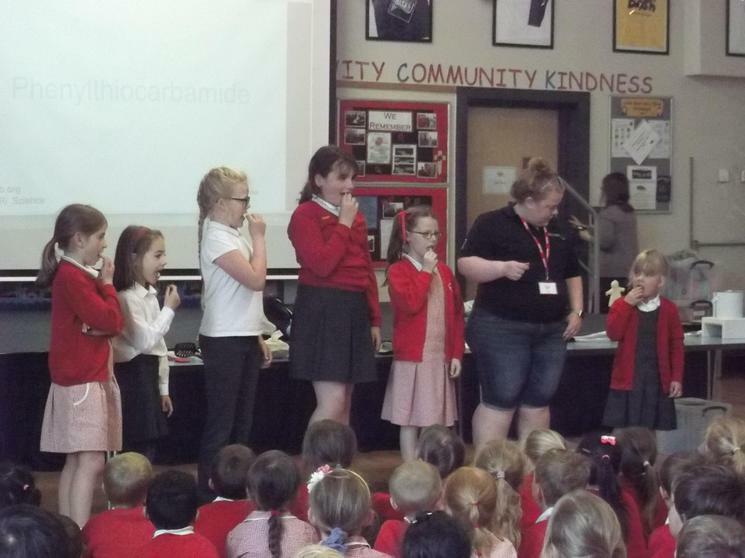 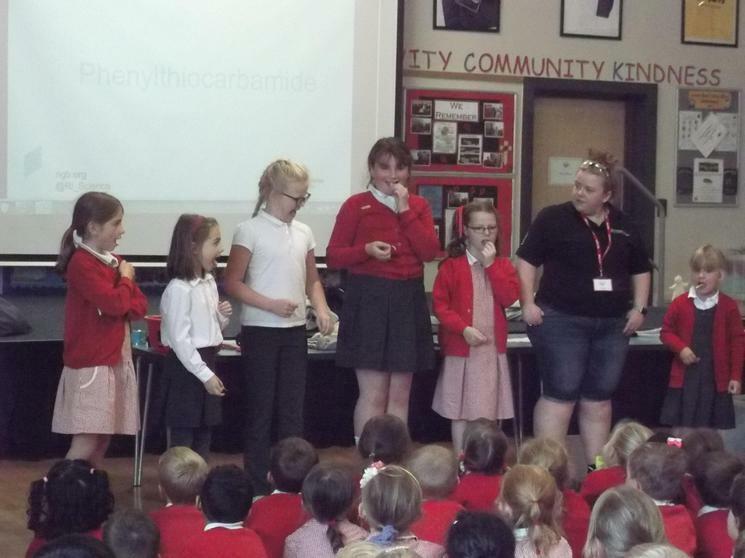 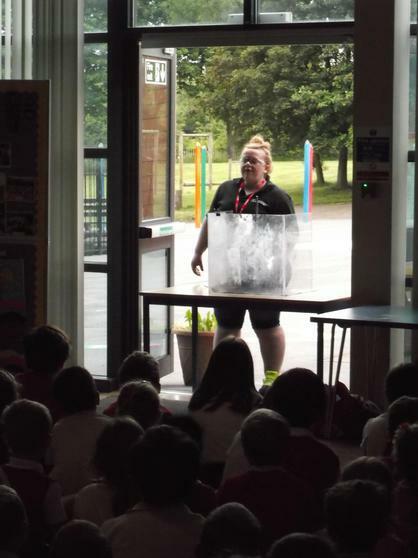 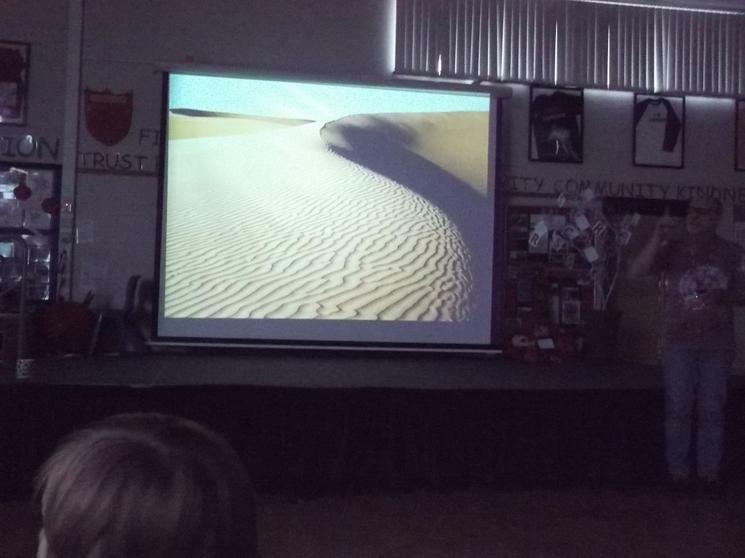 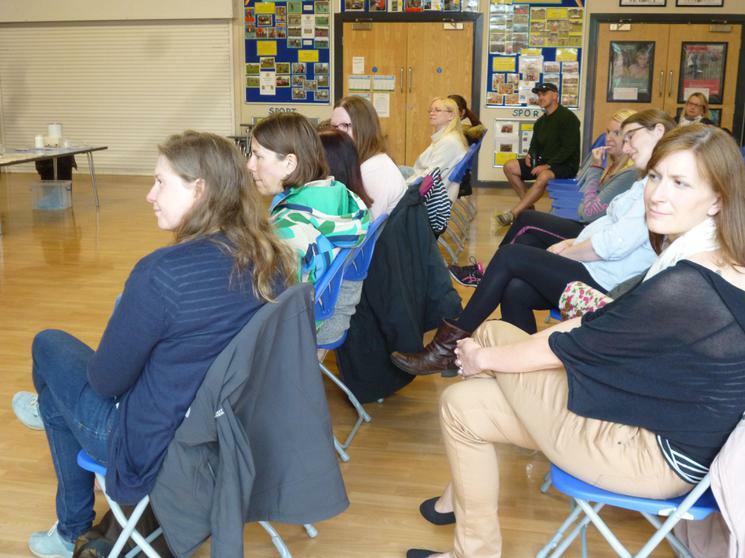 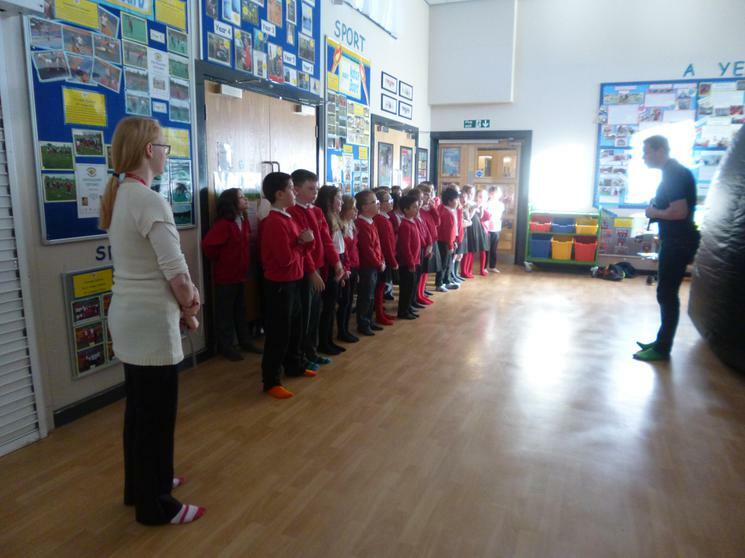 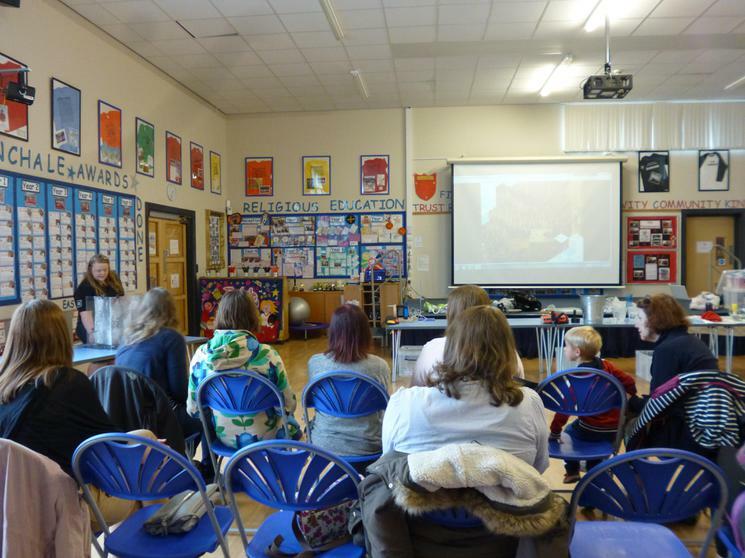 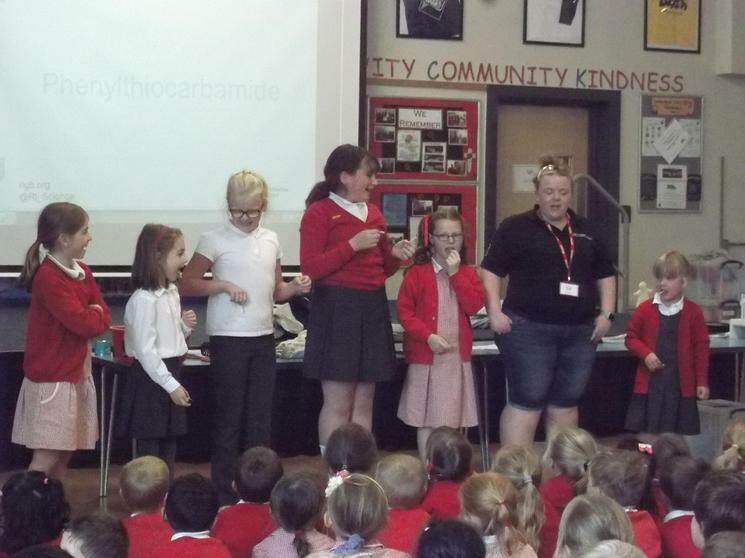 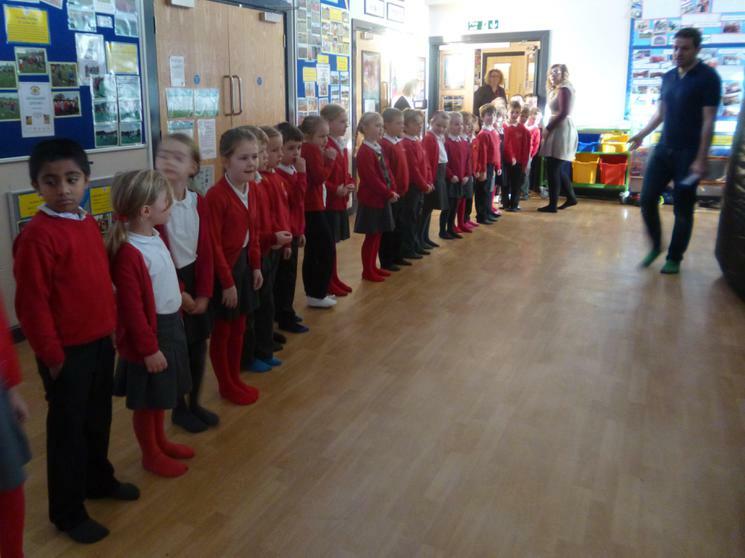 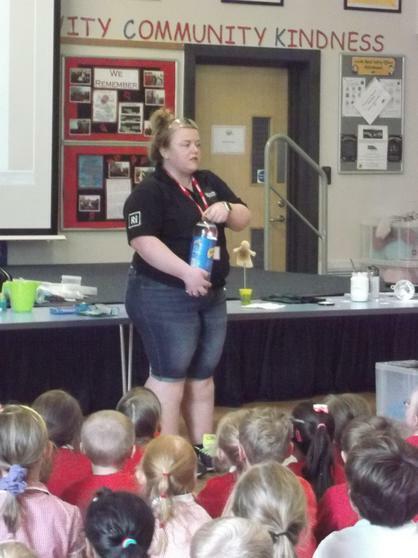 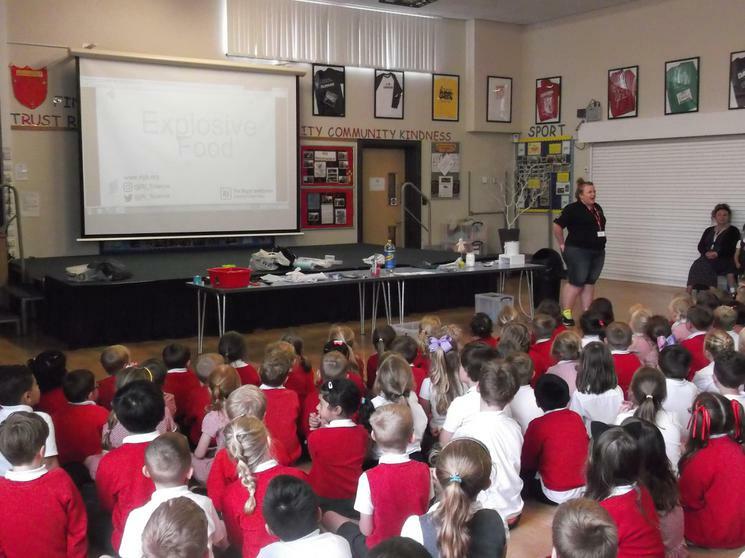 The children were fully engaged and thoroughly enjoyed the presentation. 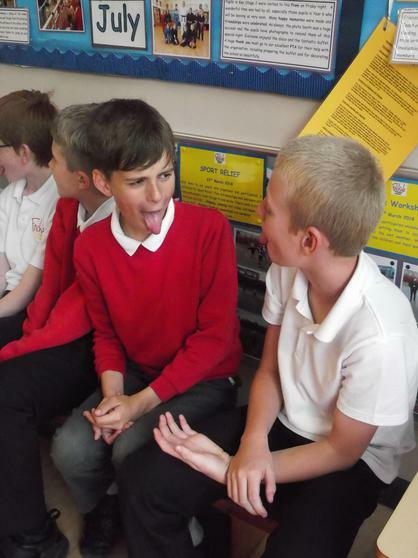 This really helped increase their knowledge and understanding of their topic work and they have learned so many new facts. 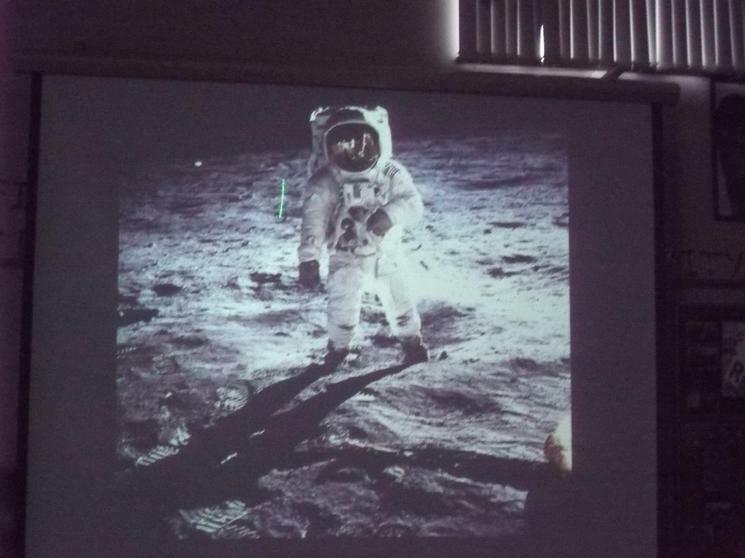 Thank you to Dr. Edwards! 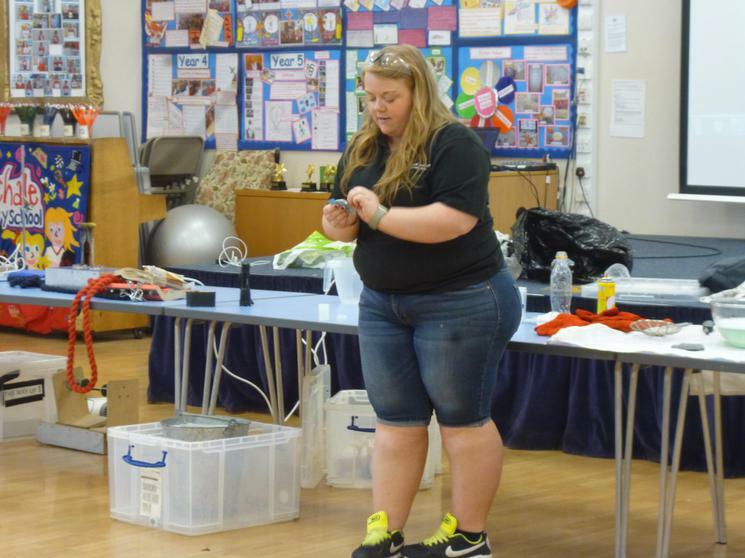 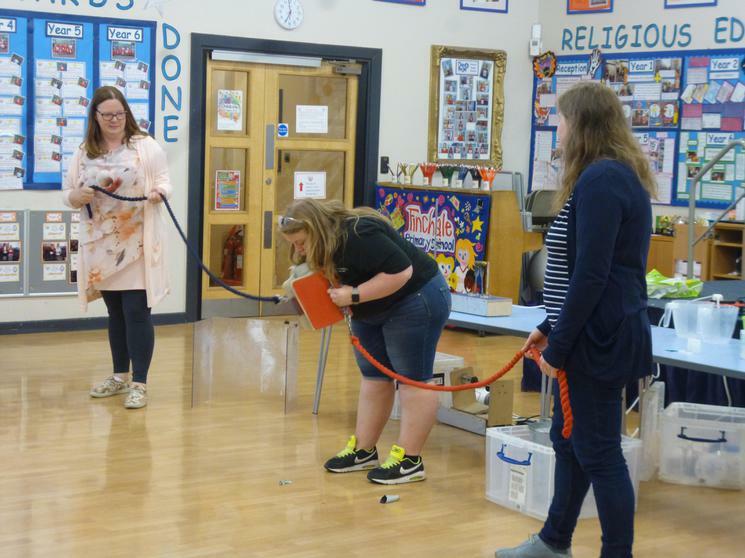 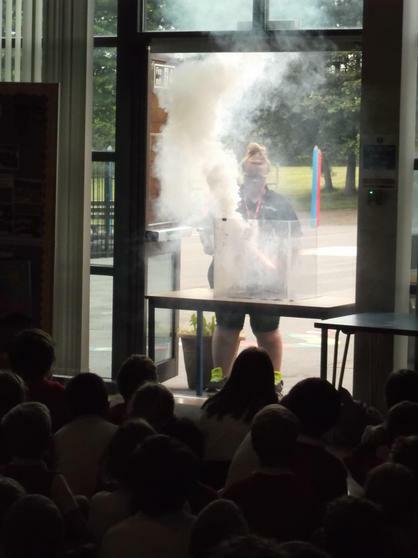 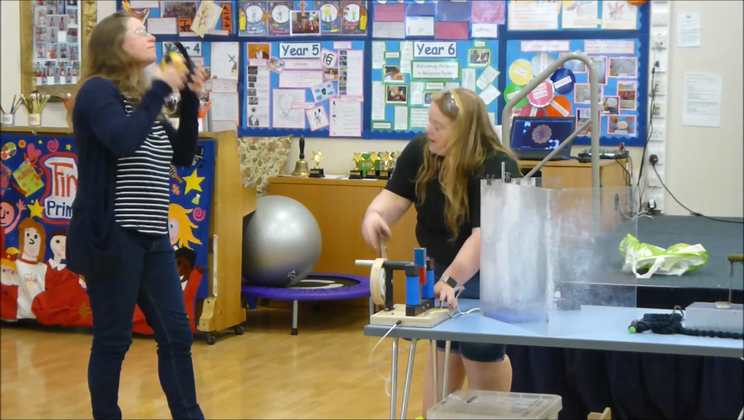 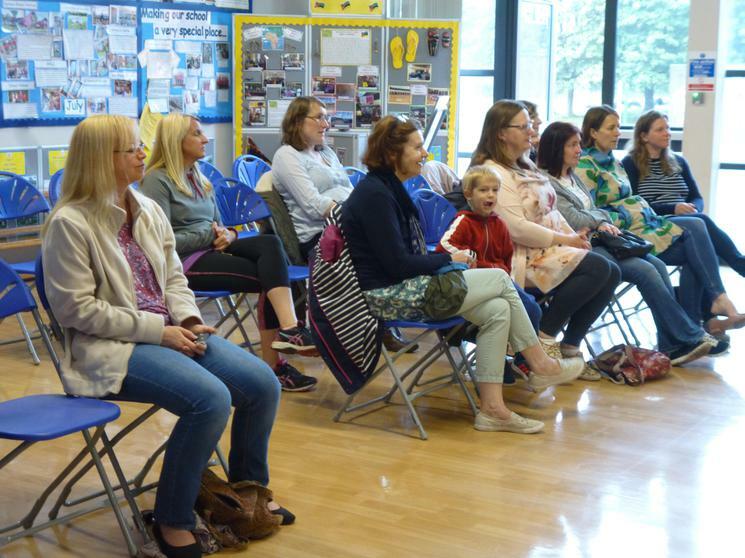 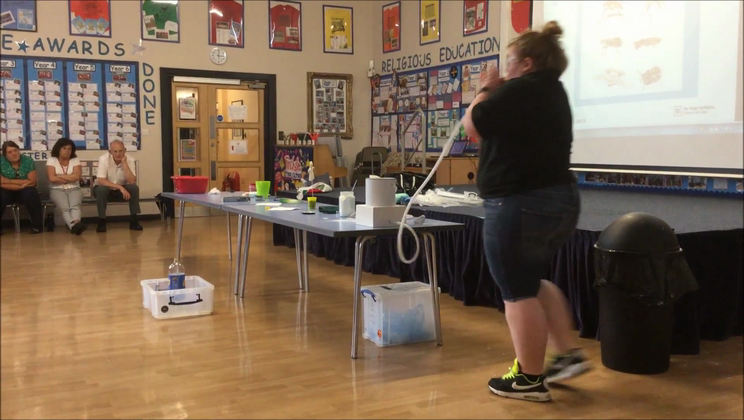 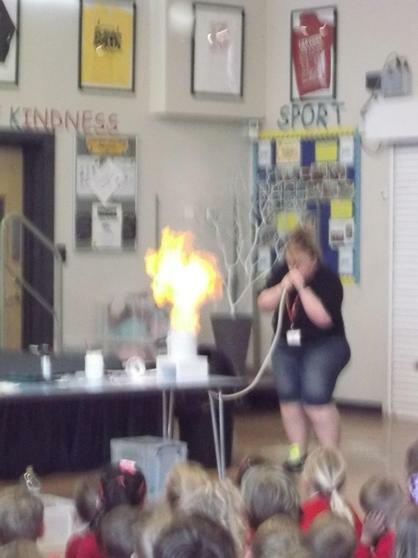 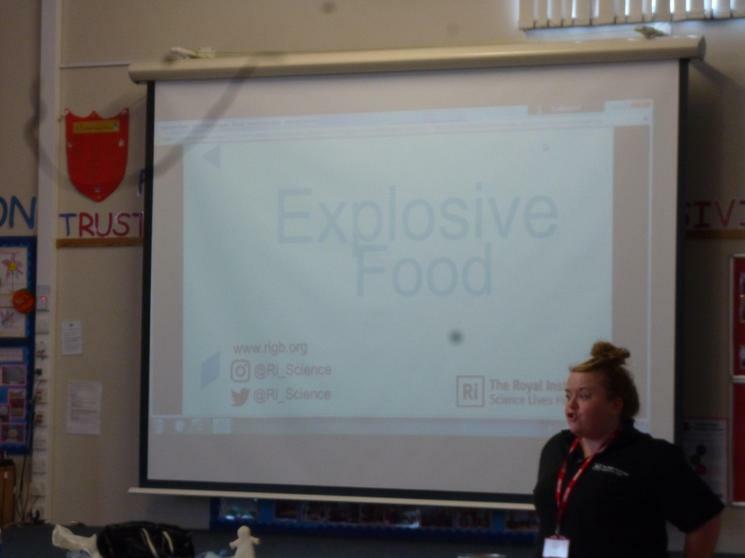 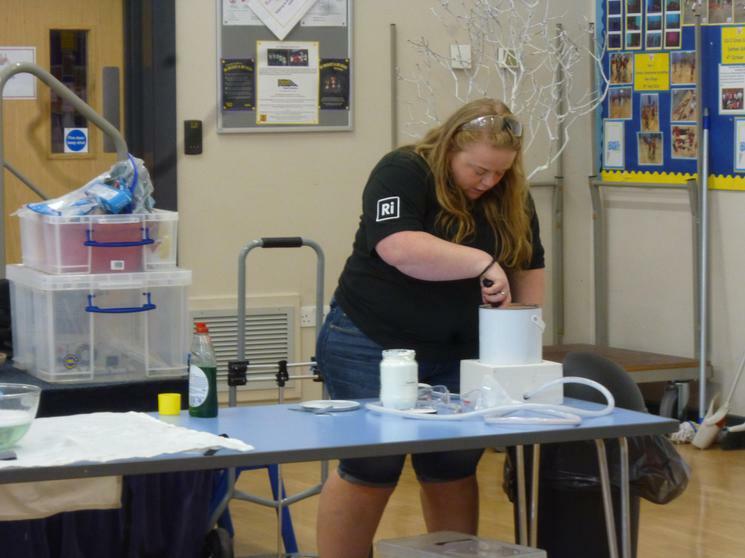 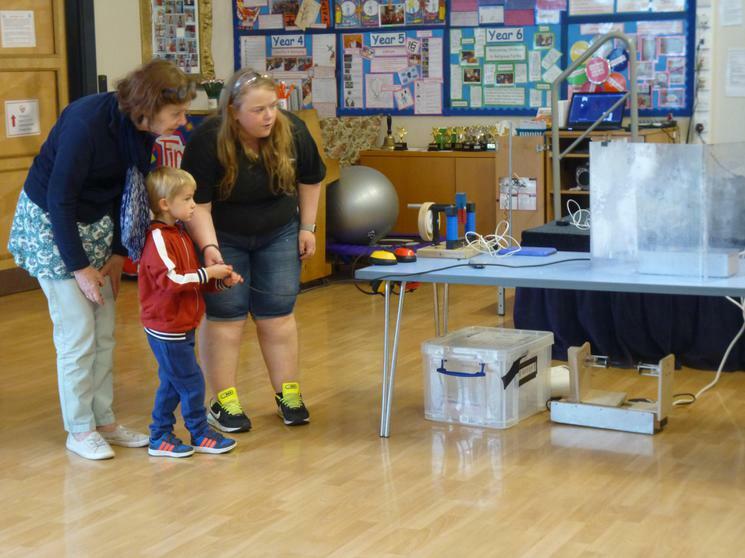 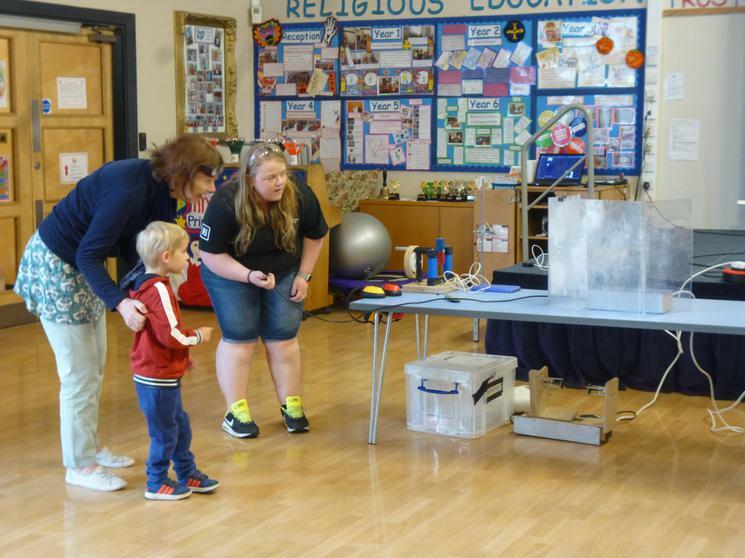 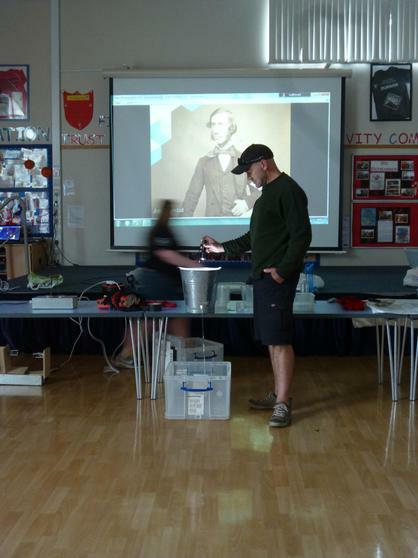 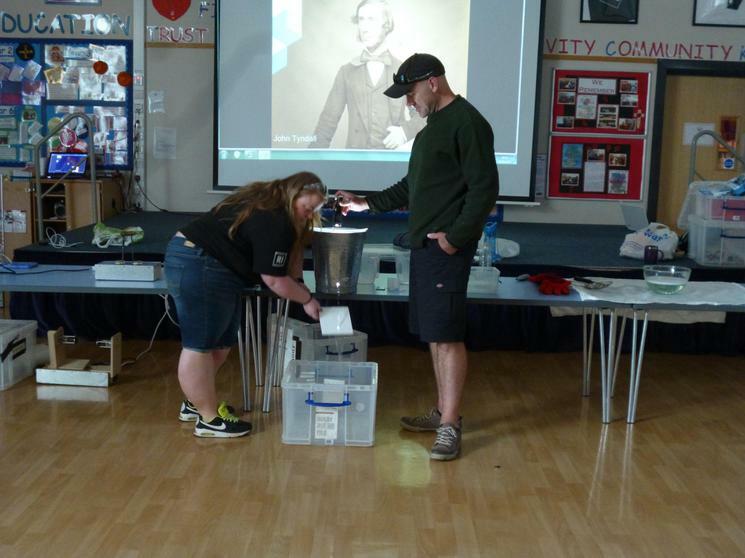 Thank you to the parents who came along to the show and extra special thanks to our volunteers, who did all live to tell the tale of the exciting experiments! 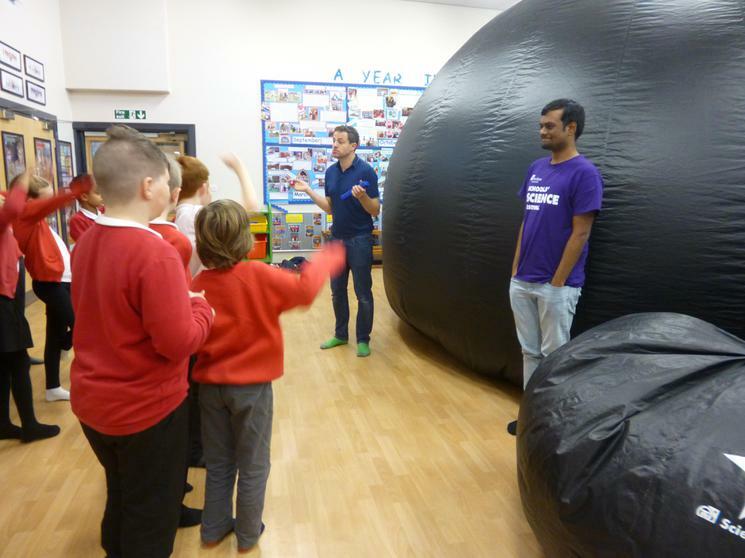 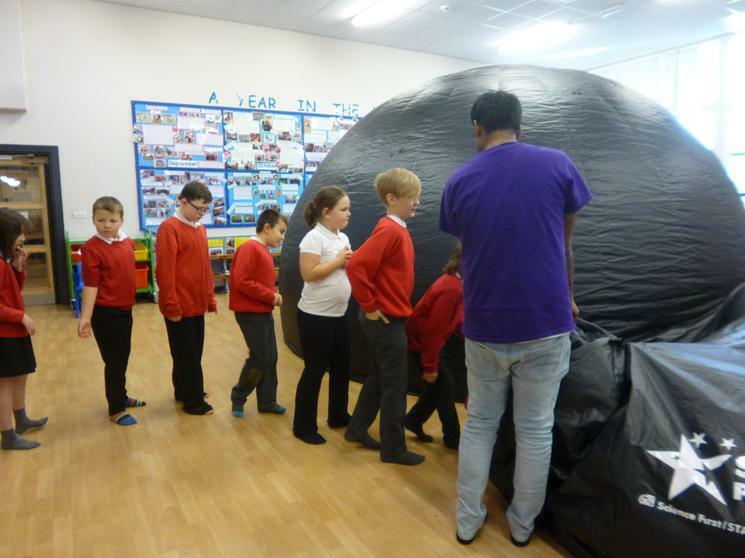 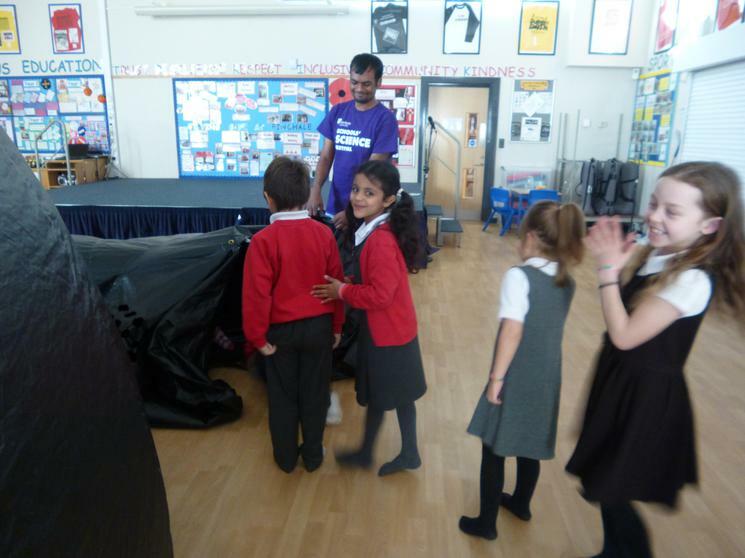 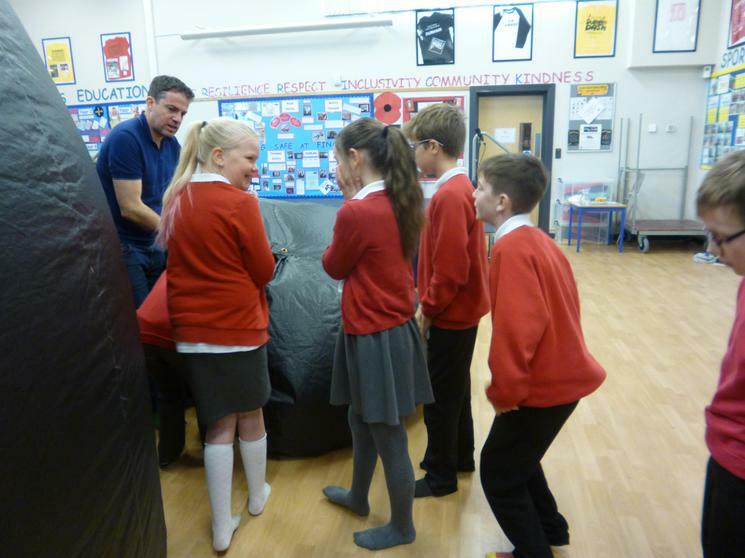 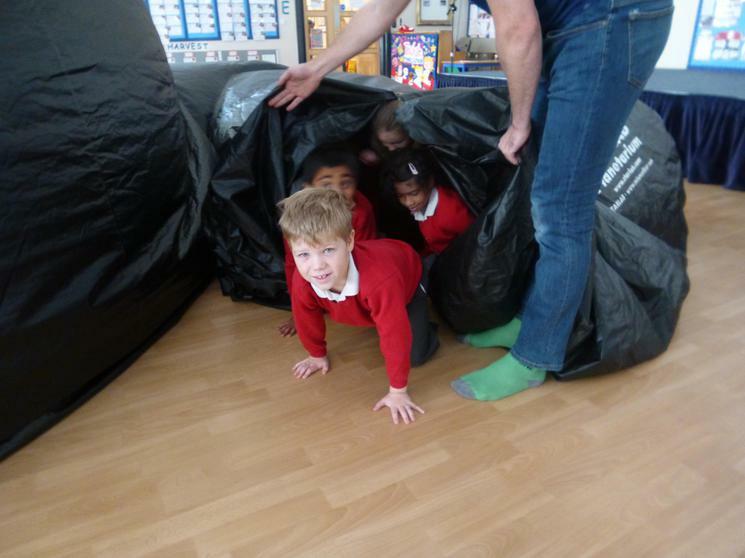 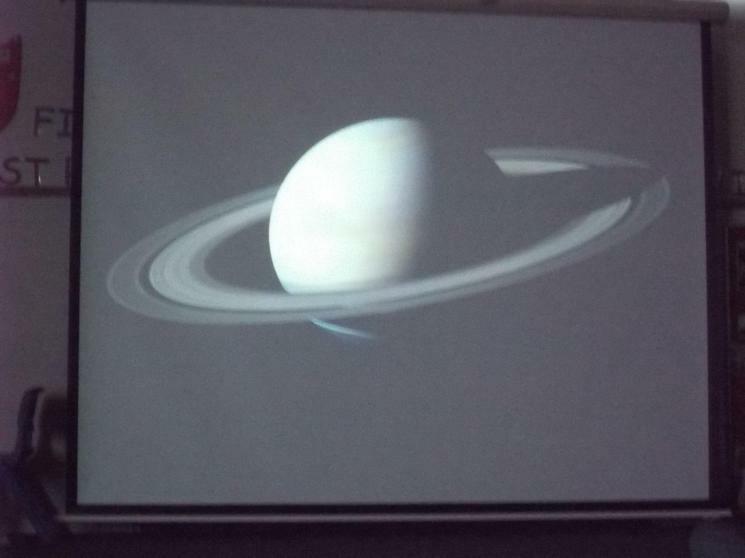 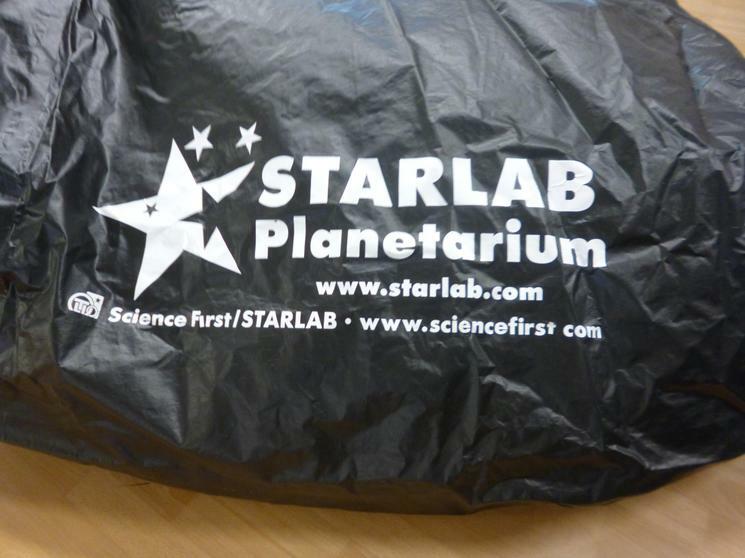 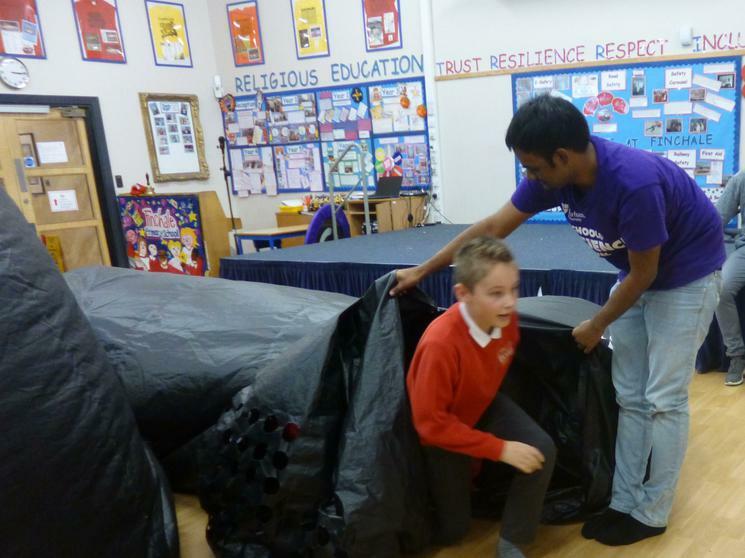 A very big thank you to Dr Anthony Brown and Trey from Durham University for coming along to visit us with a mobile Planetarium. 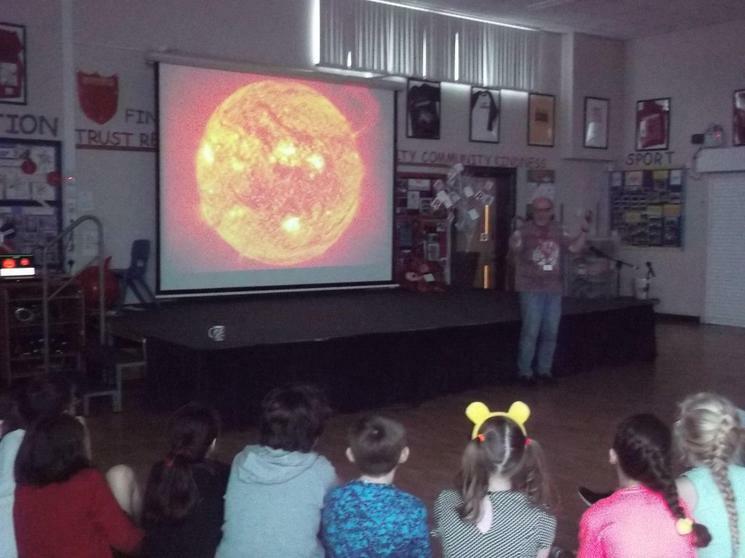 We learnt a huge amount about how stars are formed and how they die, the importance of the constant North Star (Polaris) and how it is used for navigation purposes. 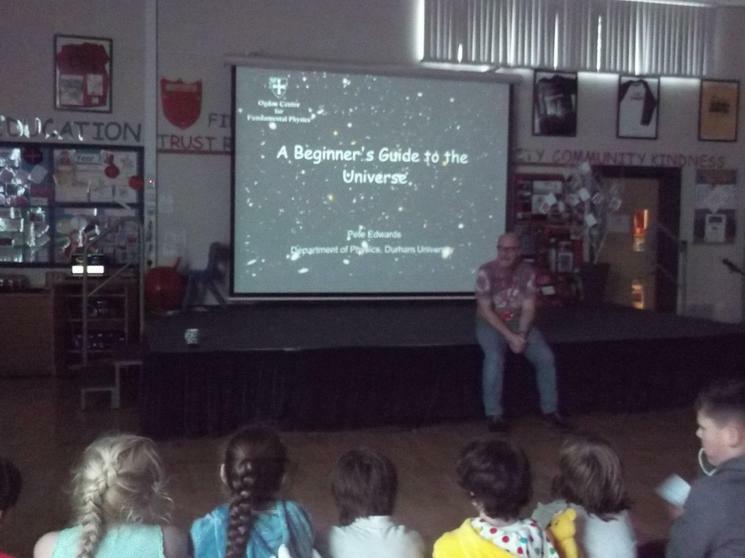 The constellations were fascinating and beautiful to see. 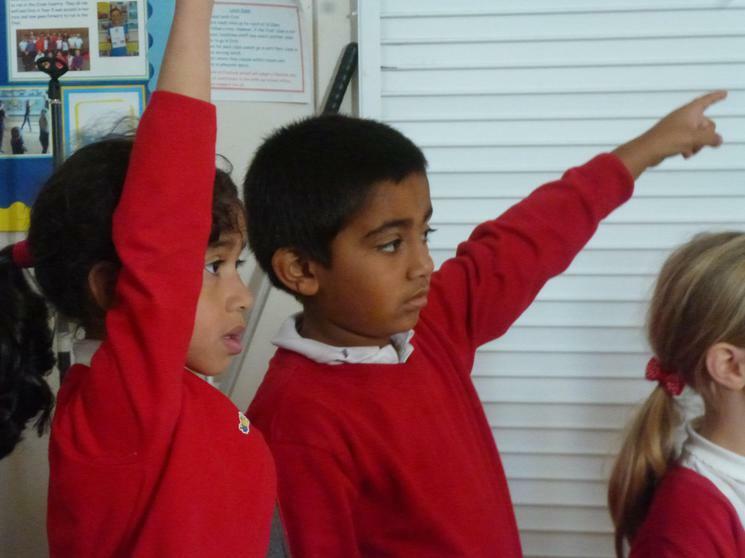 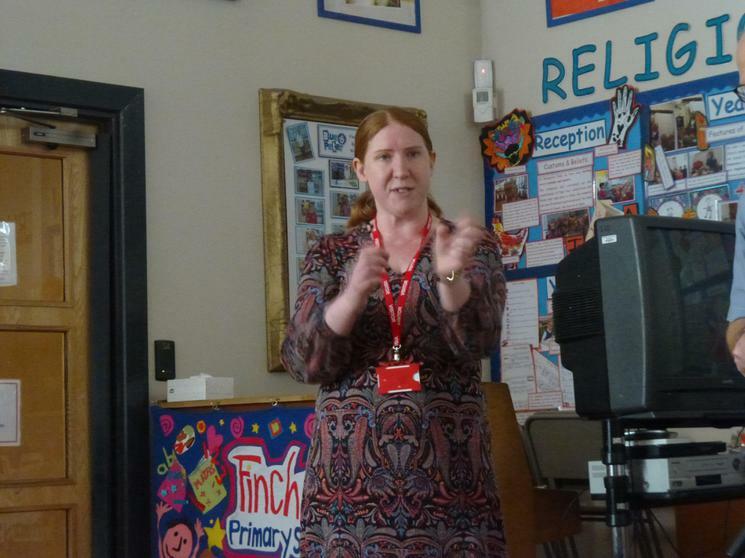 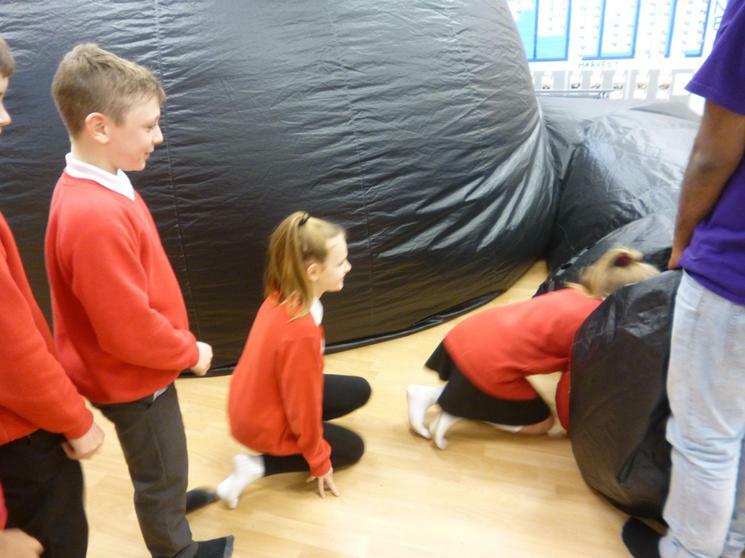 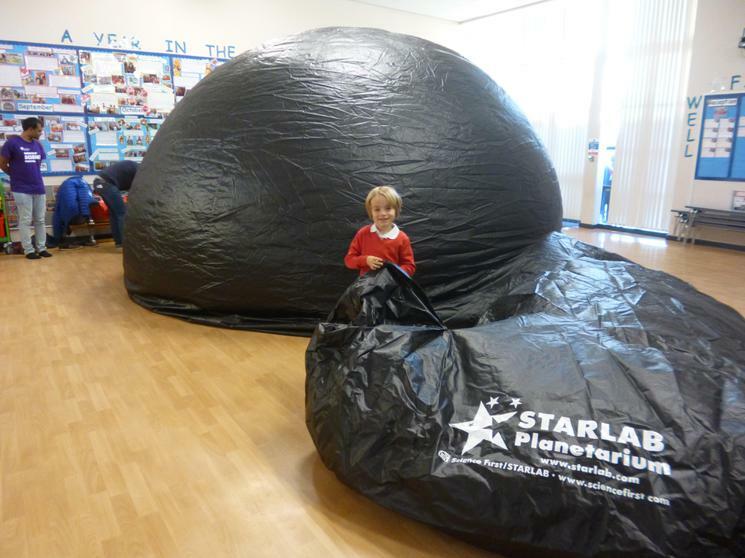 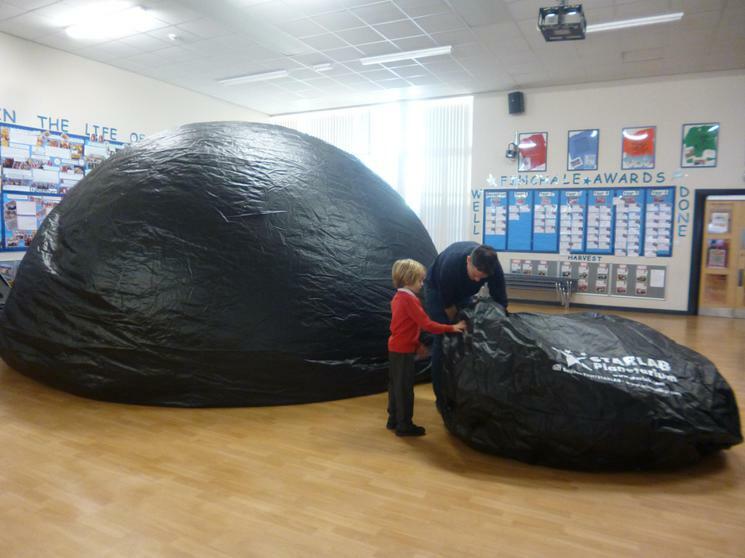 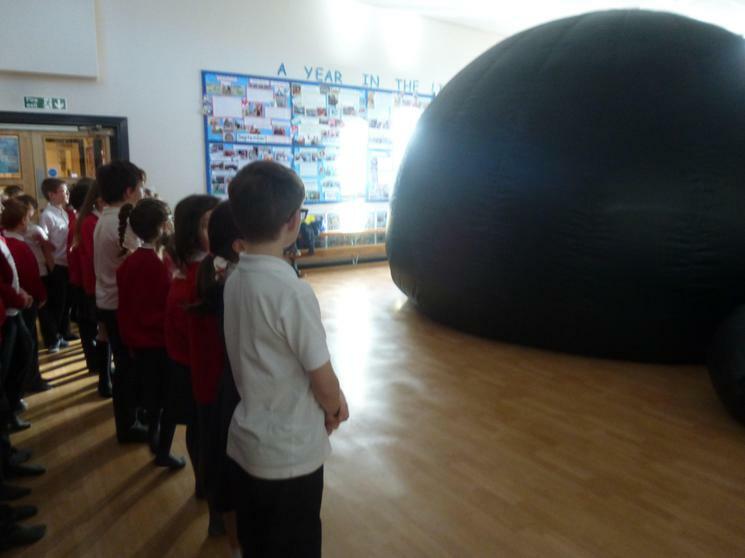 Key Stage 2 children also thought an astronomer's job was really interesting and it opened their mind and imagination to the types of careers available to them.